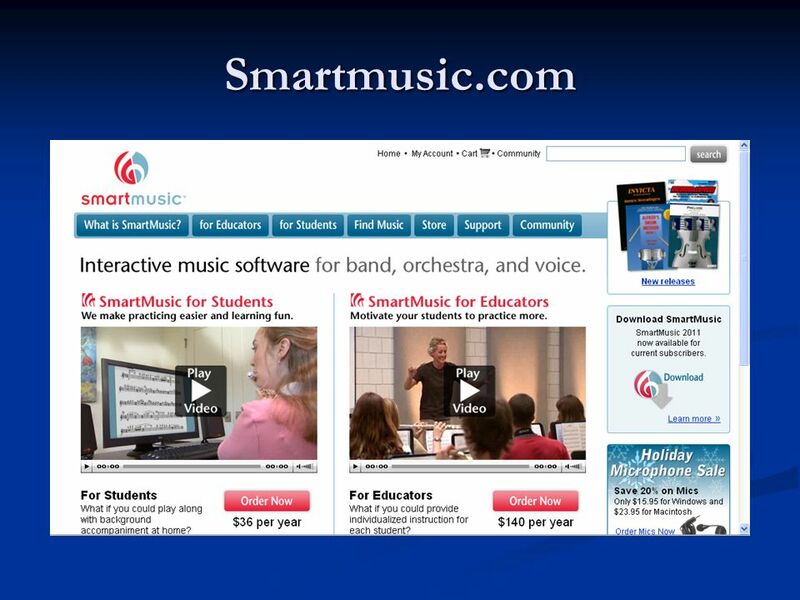 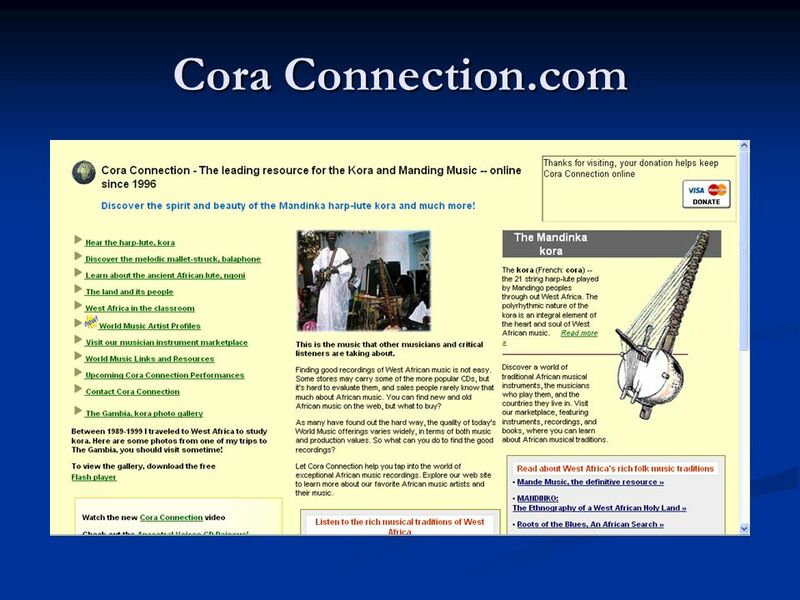 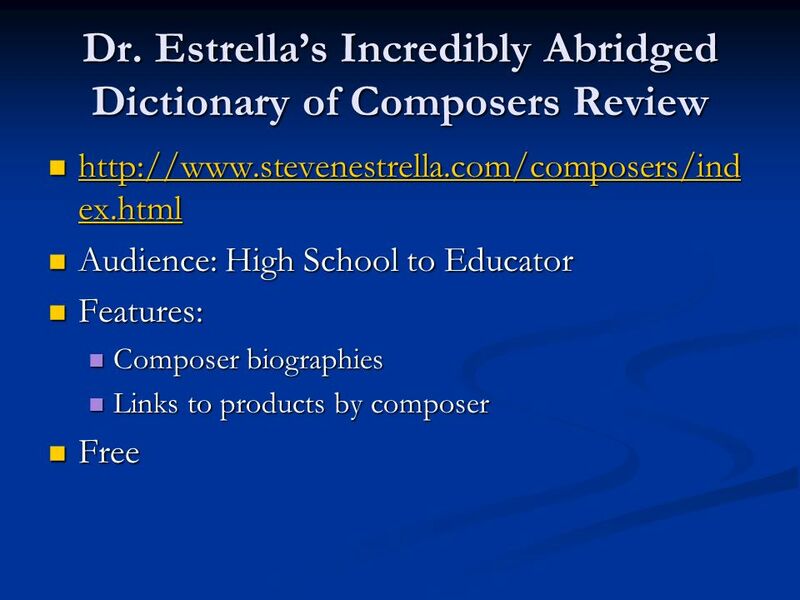 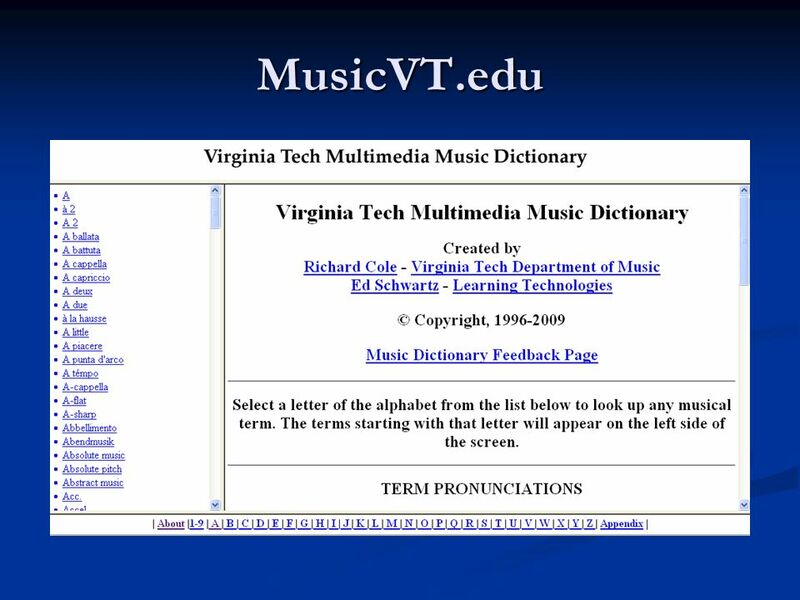 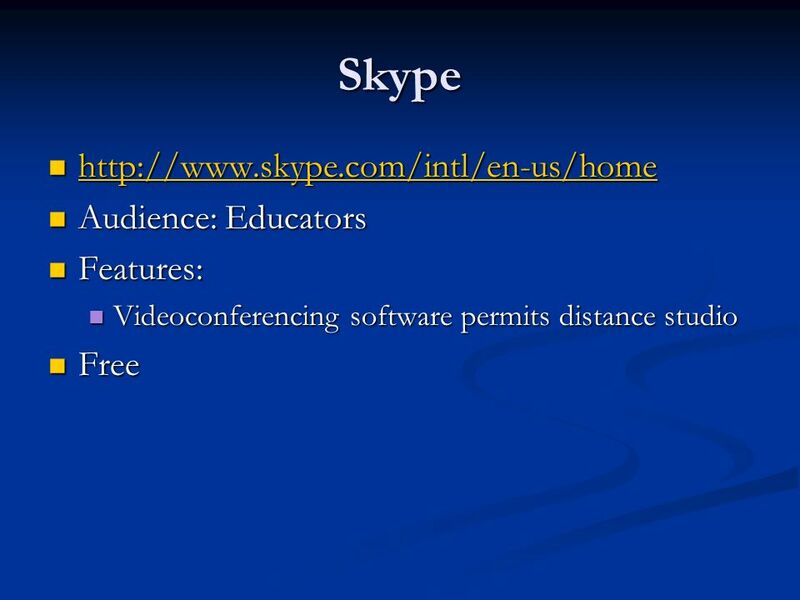 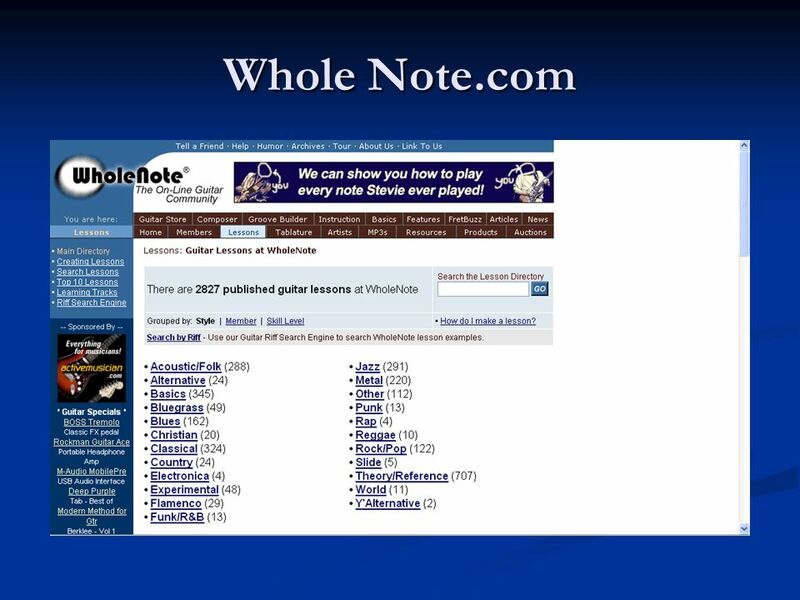 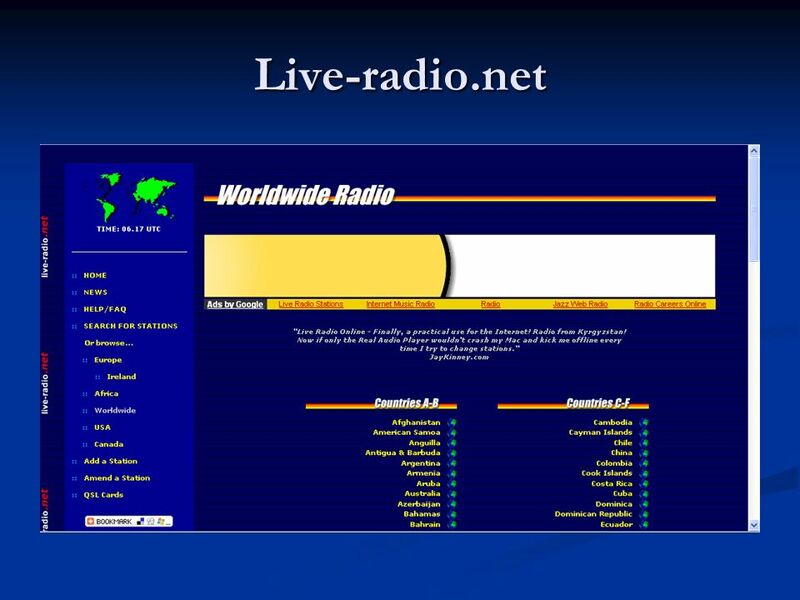 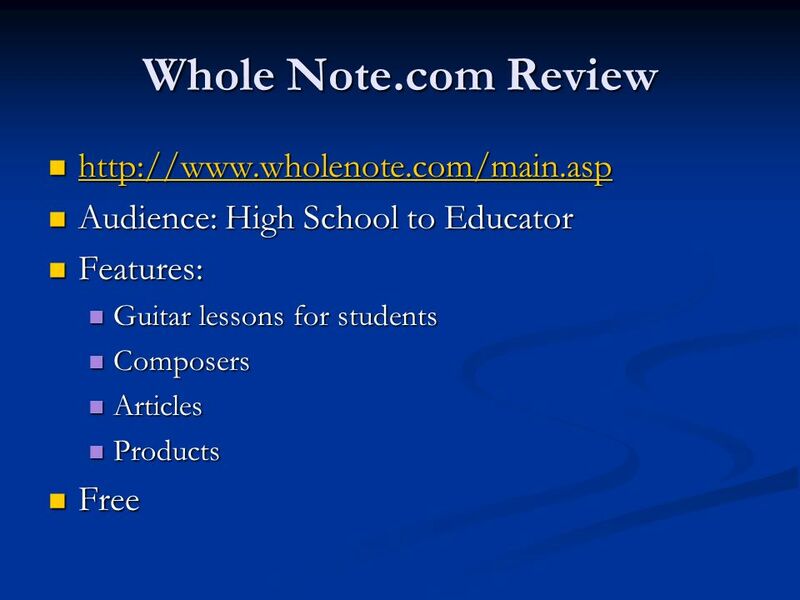 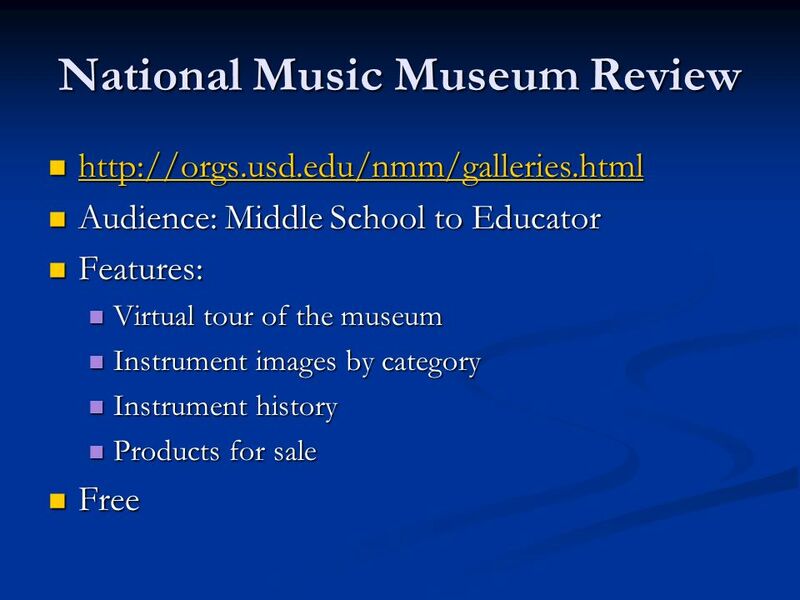 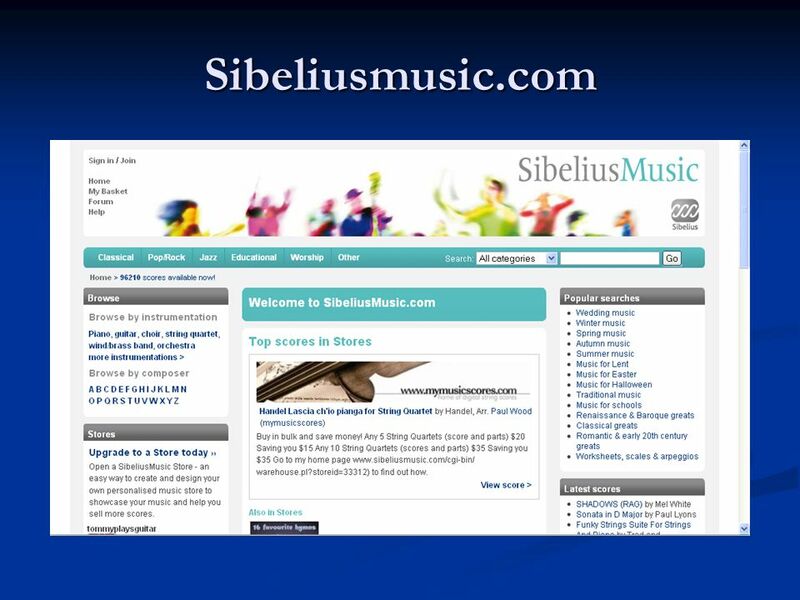 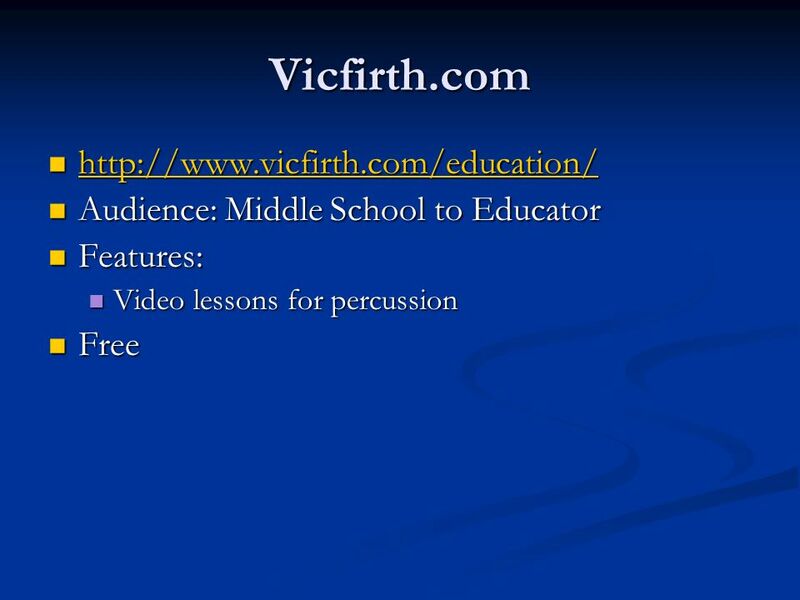 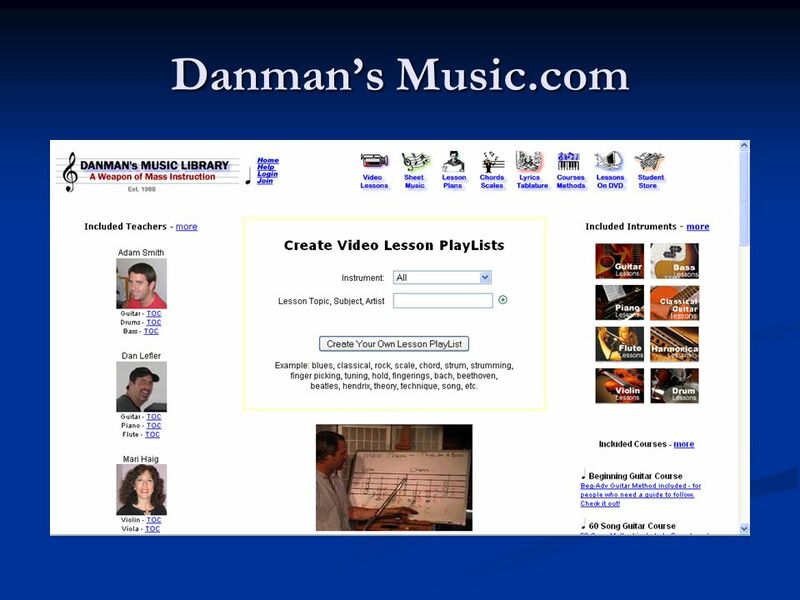 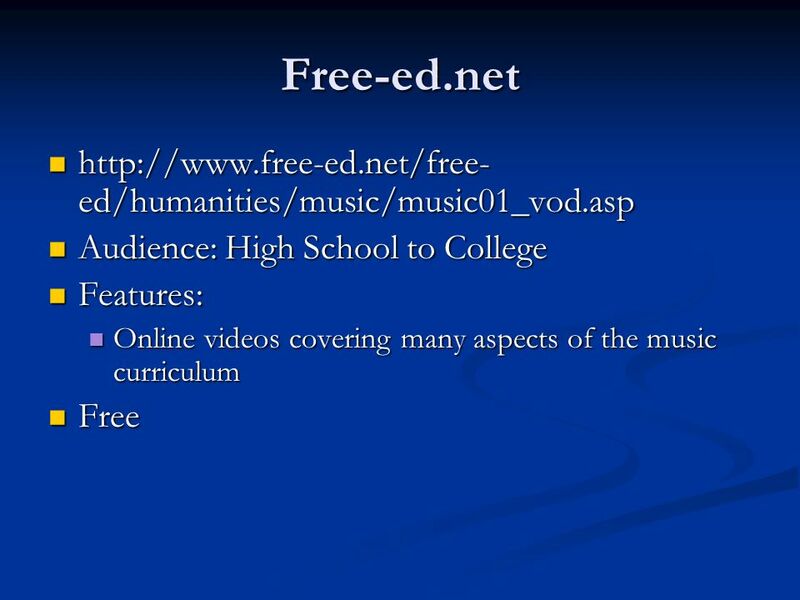 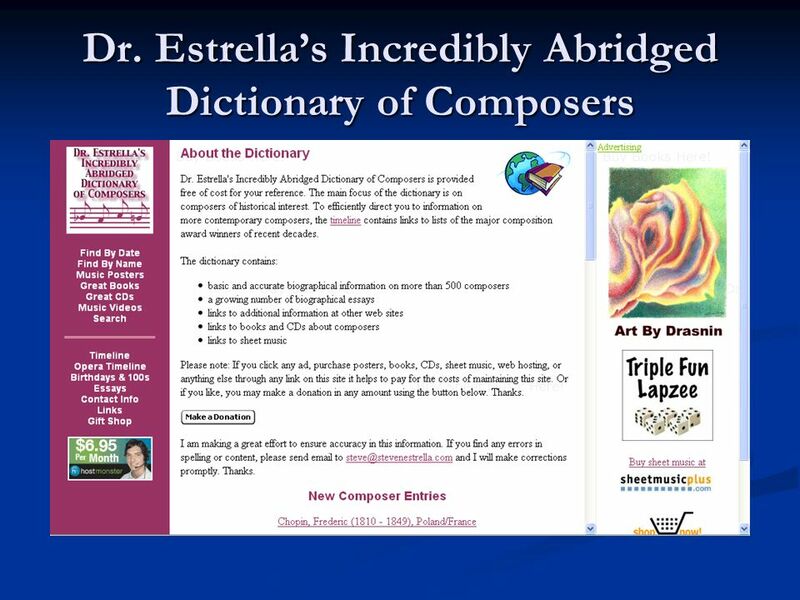 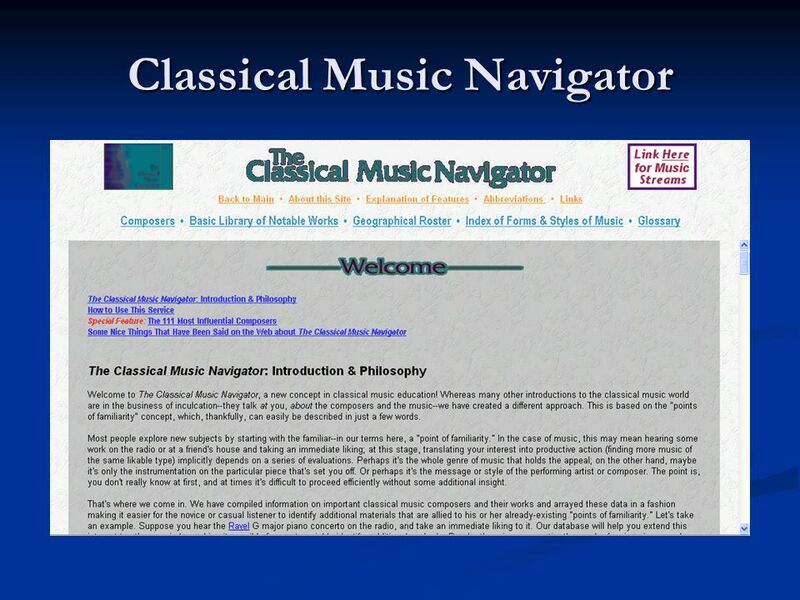 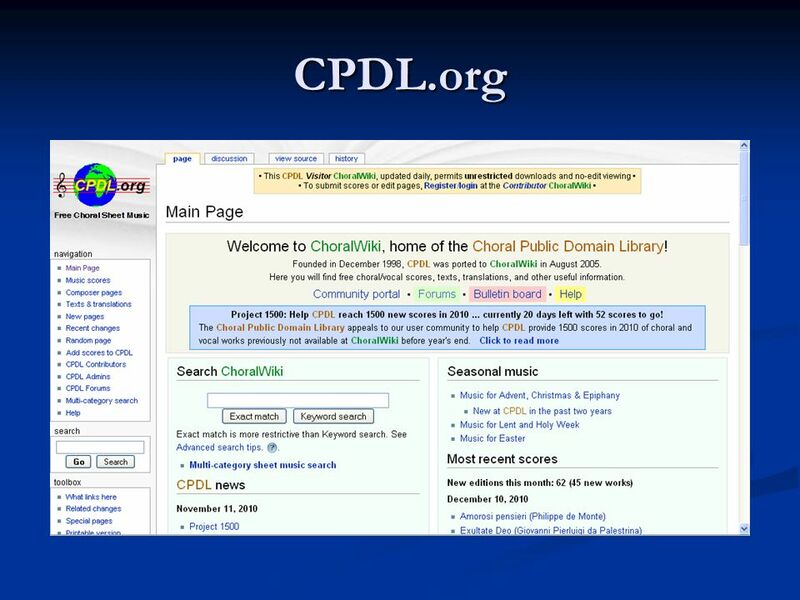 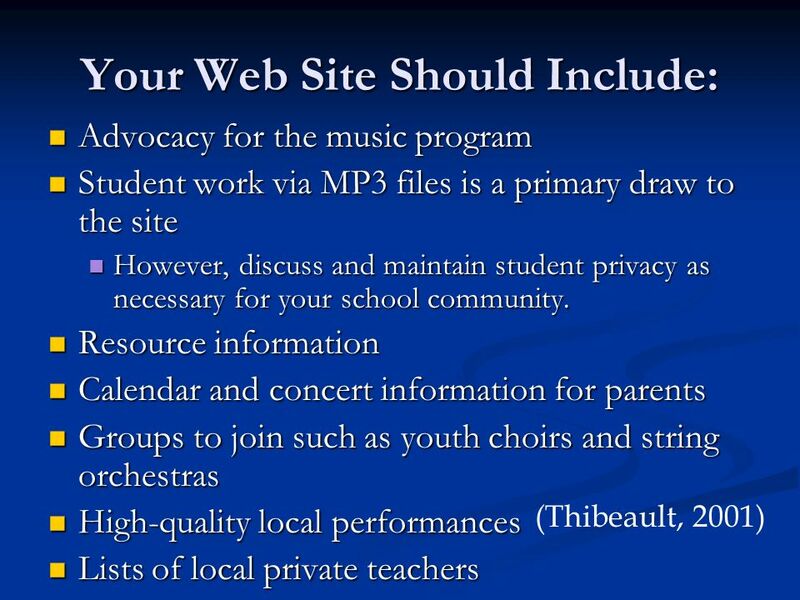 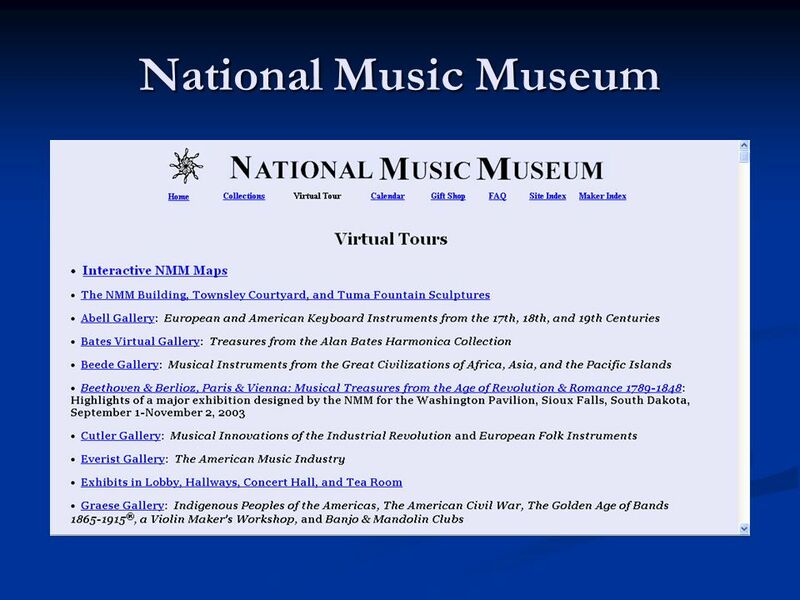 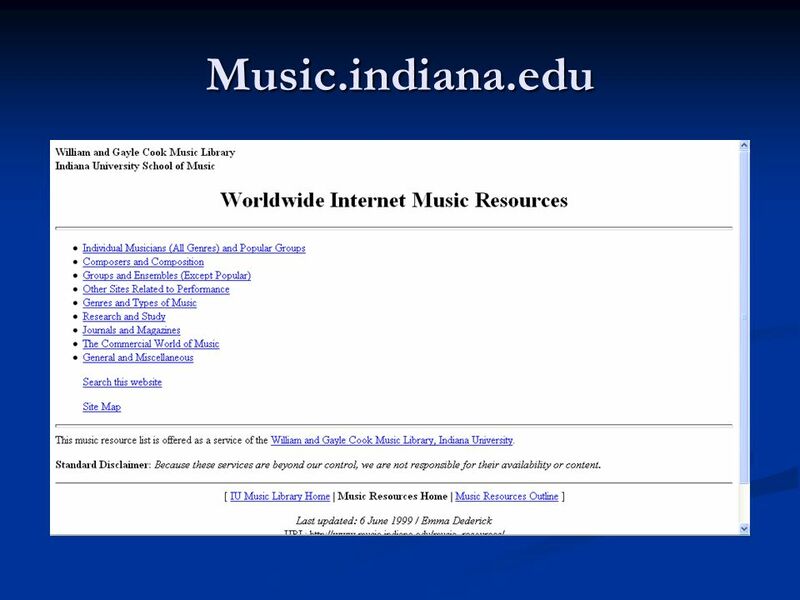 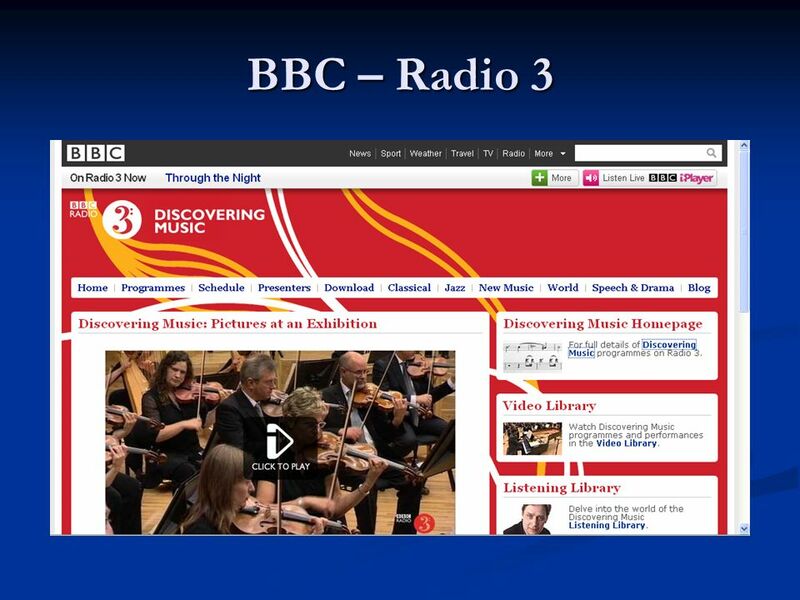 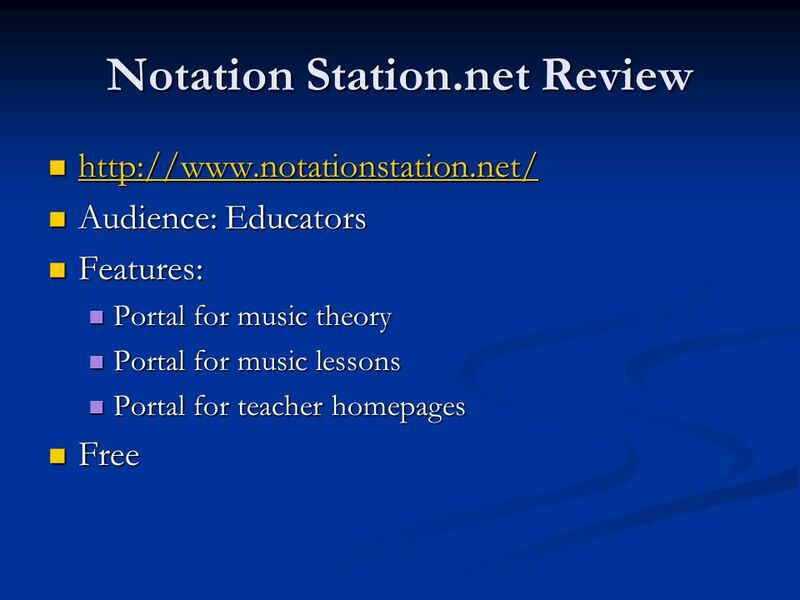 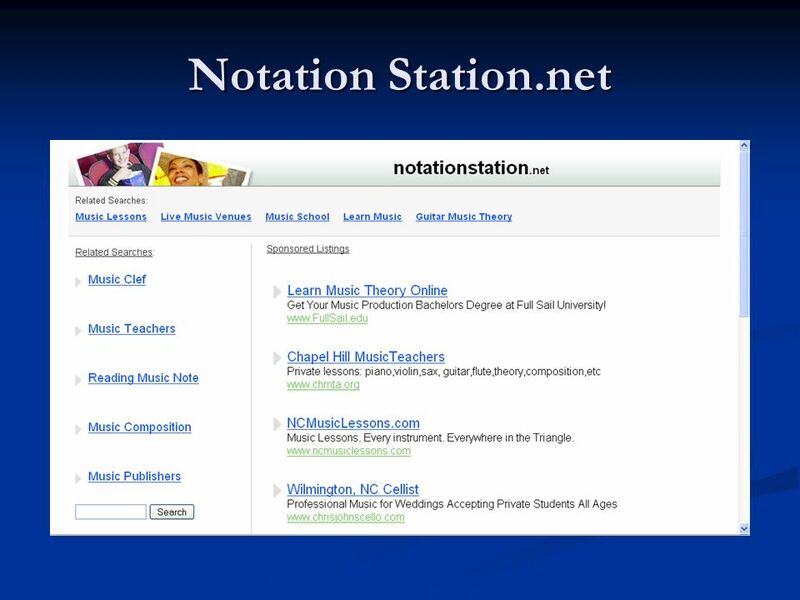 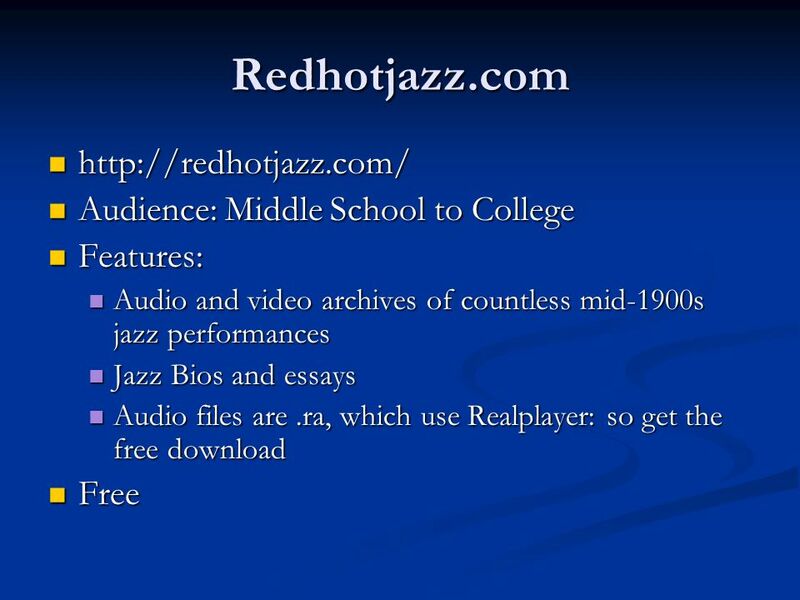 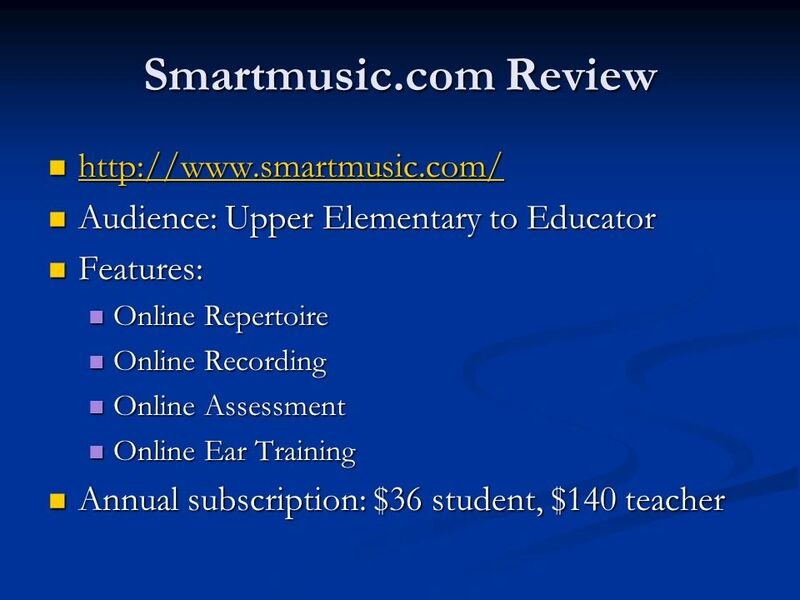 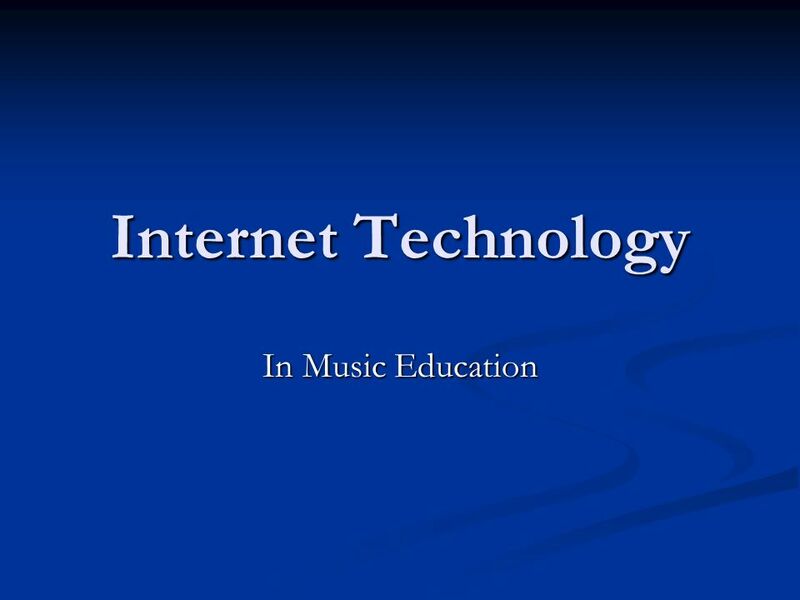 Internet Technology In Music Education. 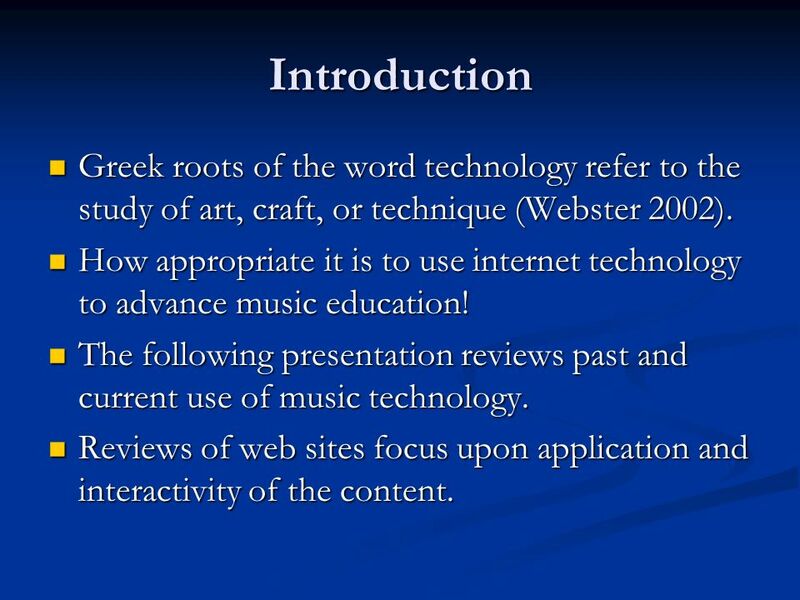 4 Introduction Greek roots of the word technology refer to the study of art, craft, or technique (Webster 2002). 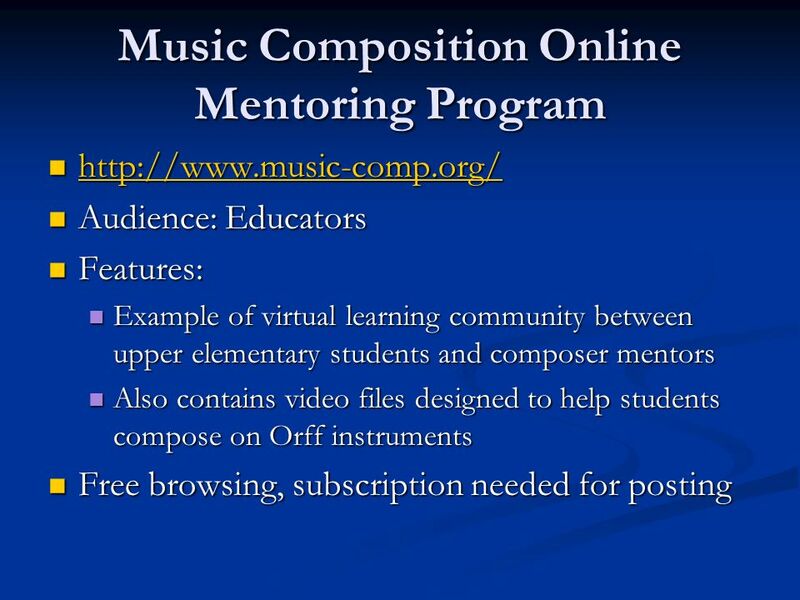 How appropriate it is to use internet technology to advance music education! 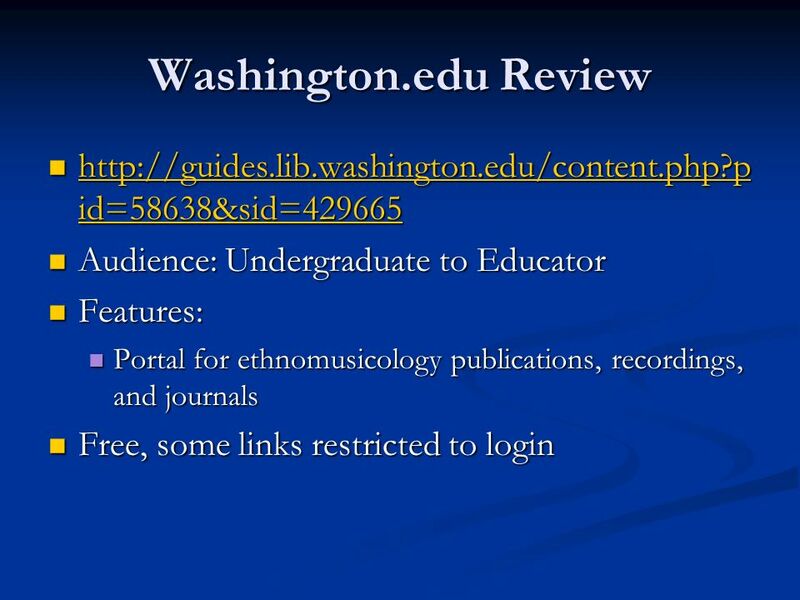 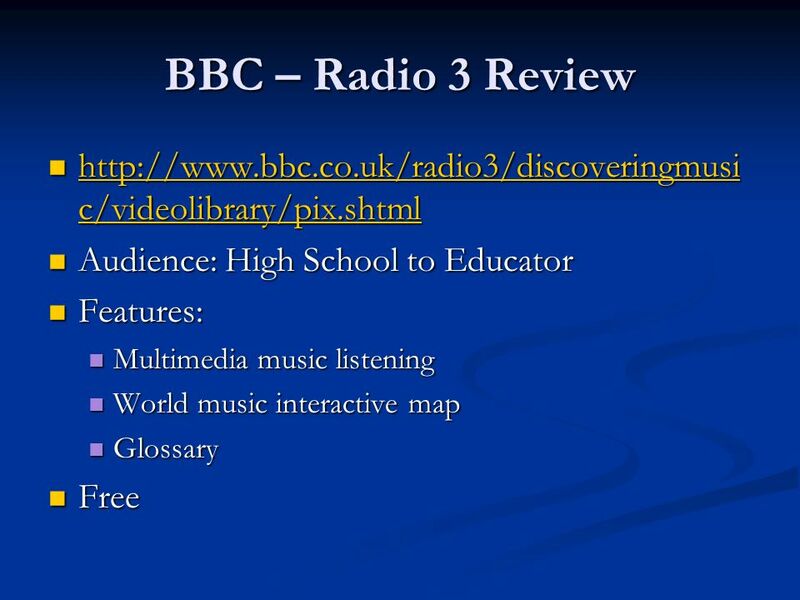 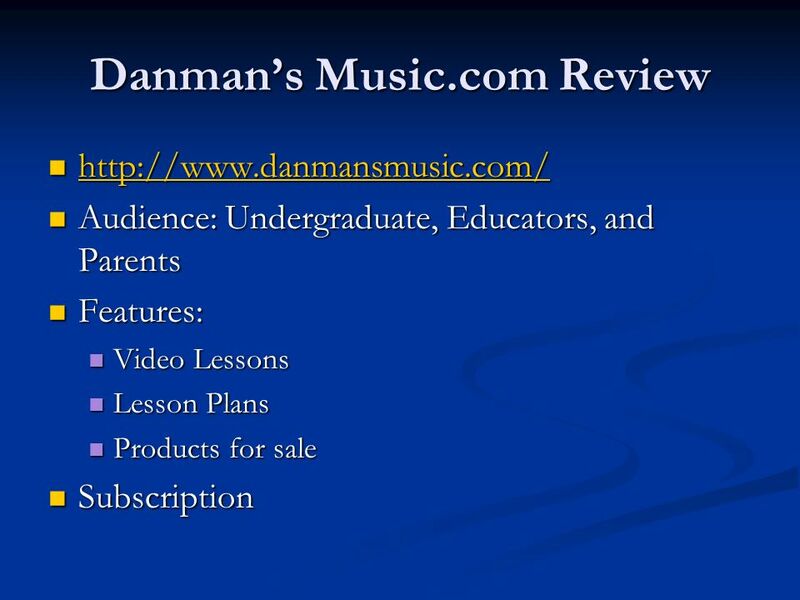 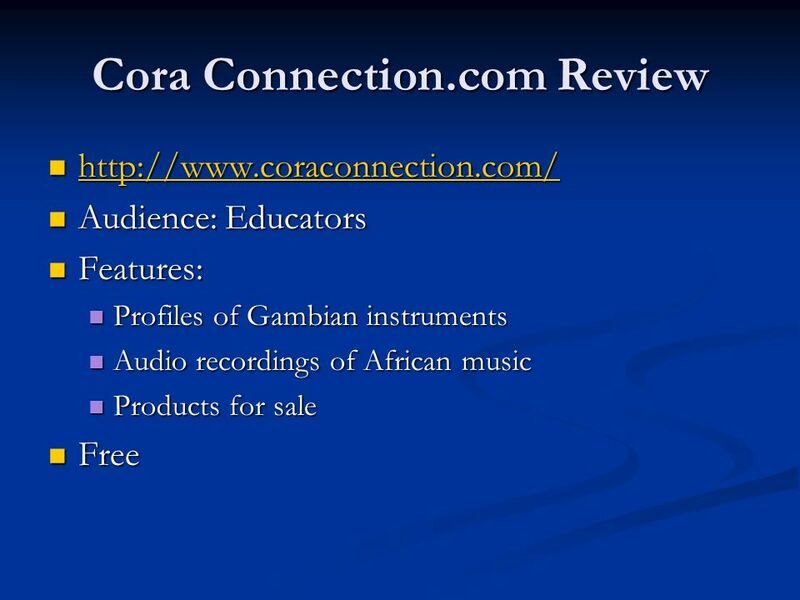 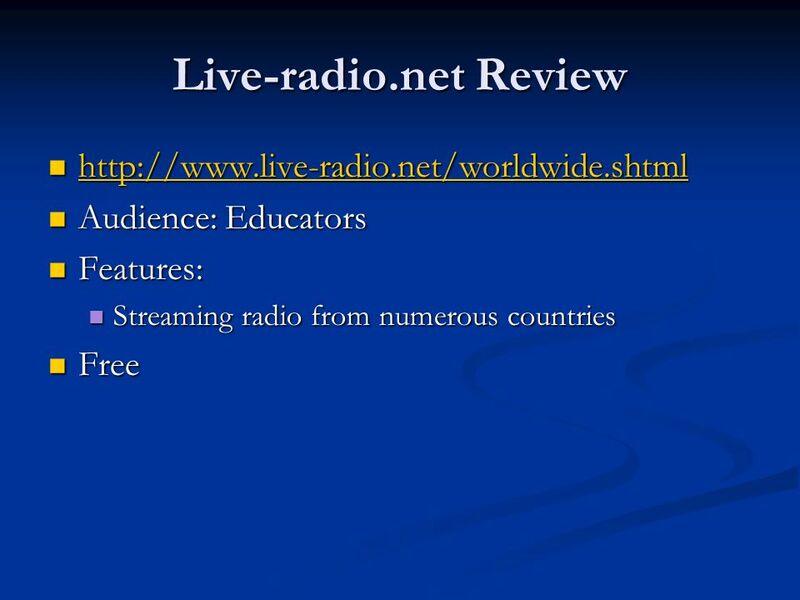 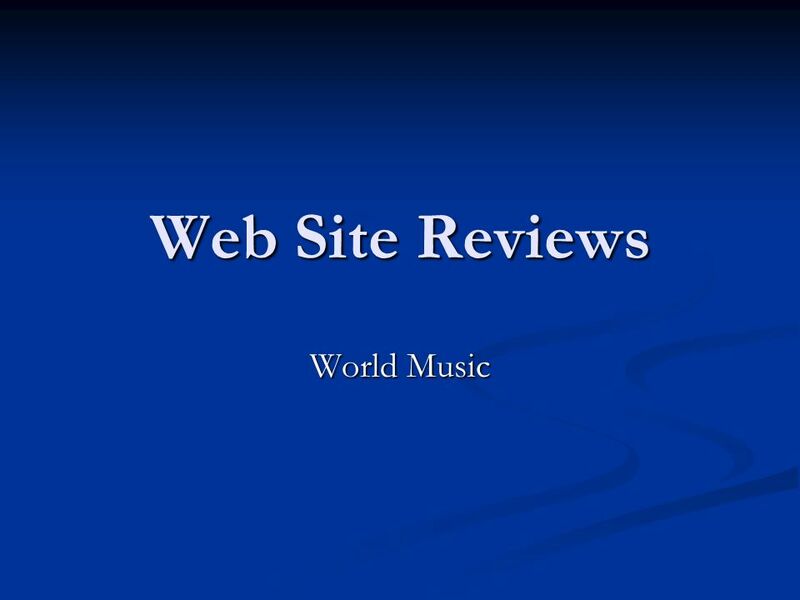 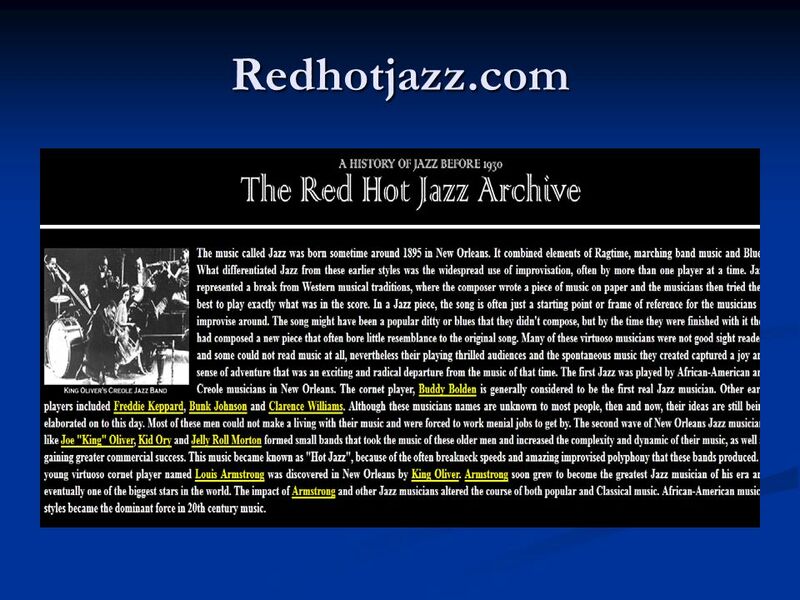 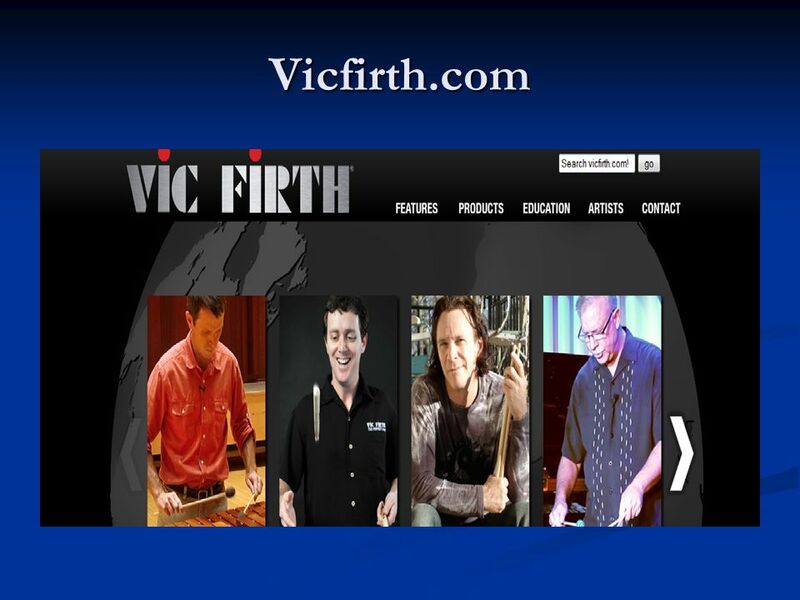 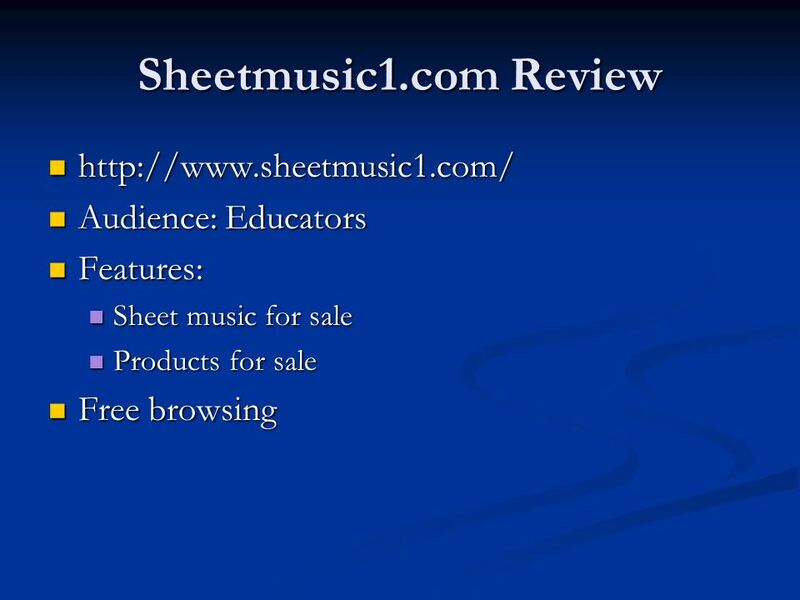 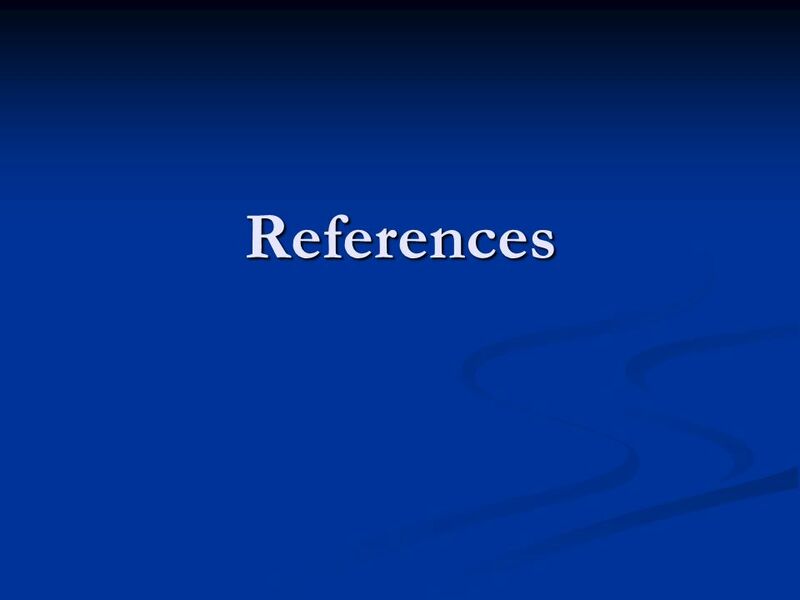 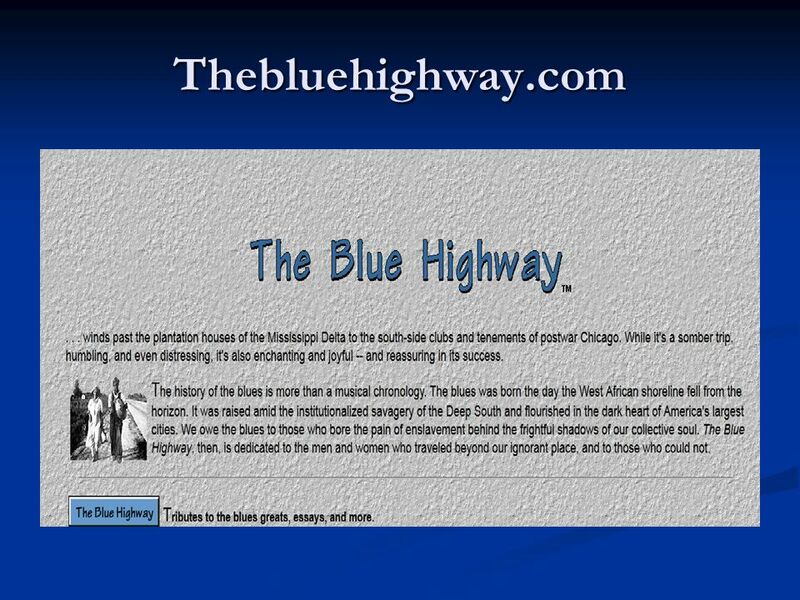 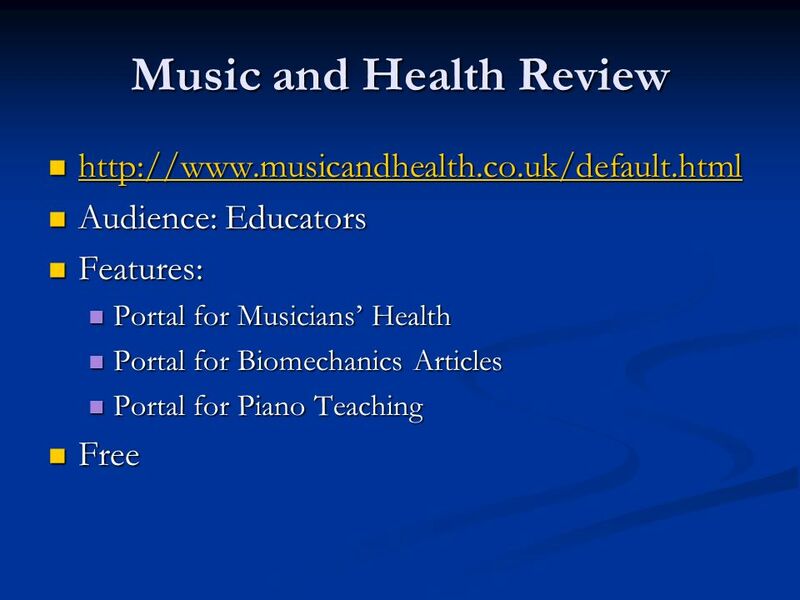 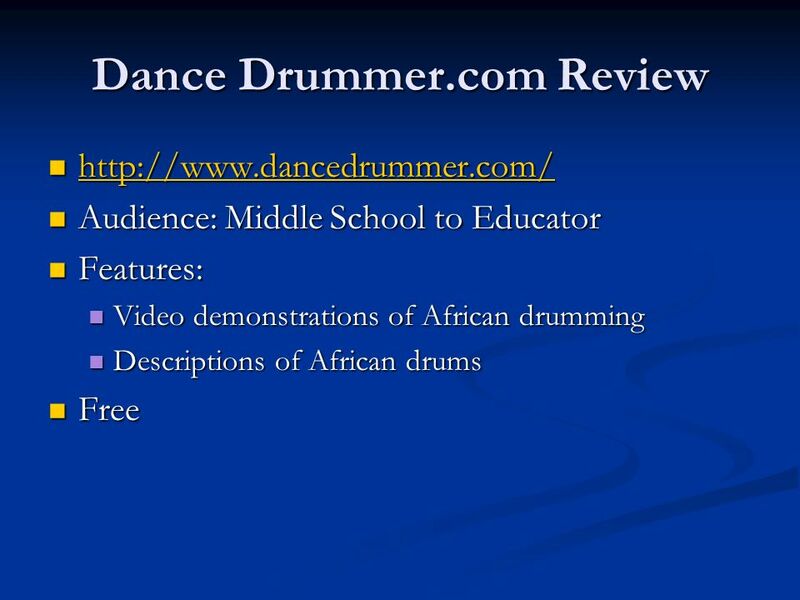 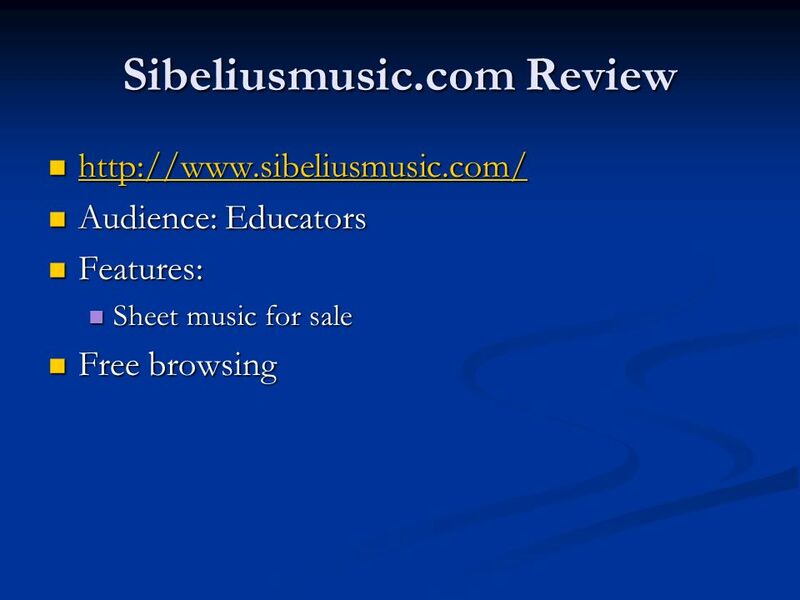 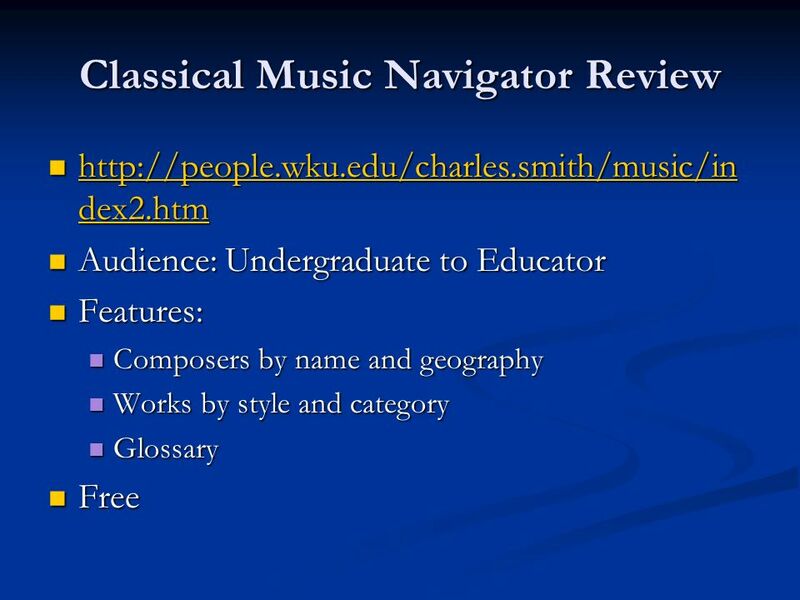 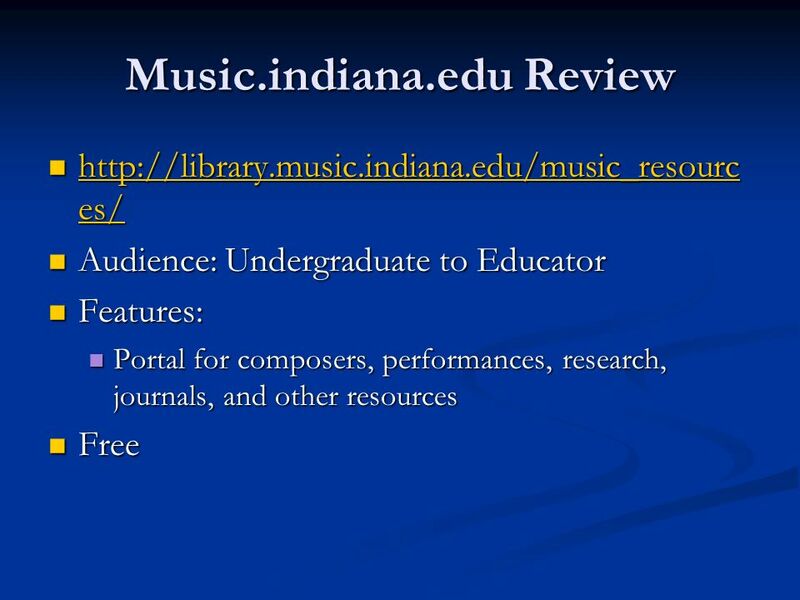 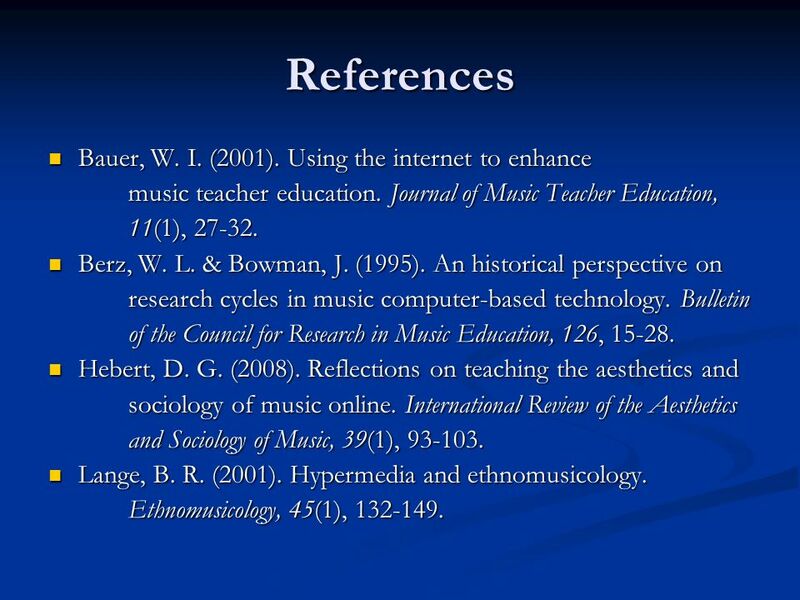 The following presentation reviews past and current use of music technology. 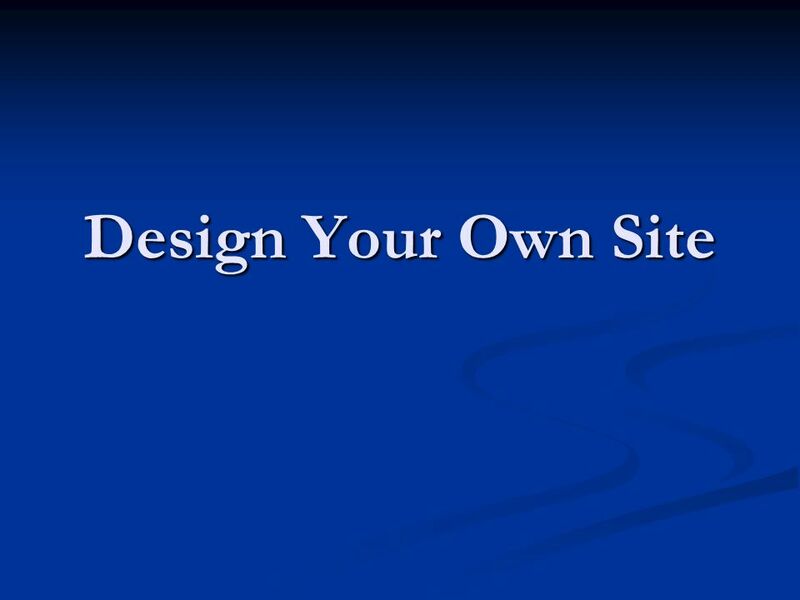 Reviews of web sites focus upon application and interactivity of the content. 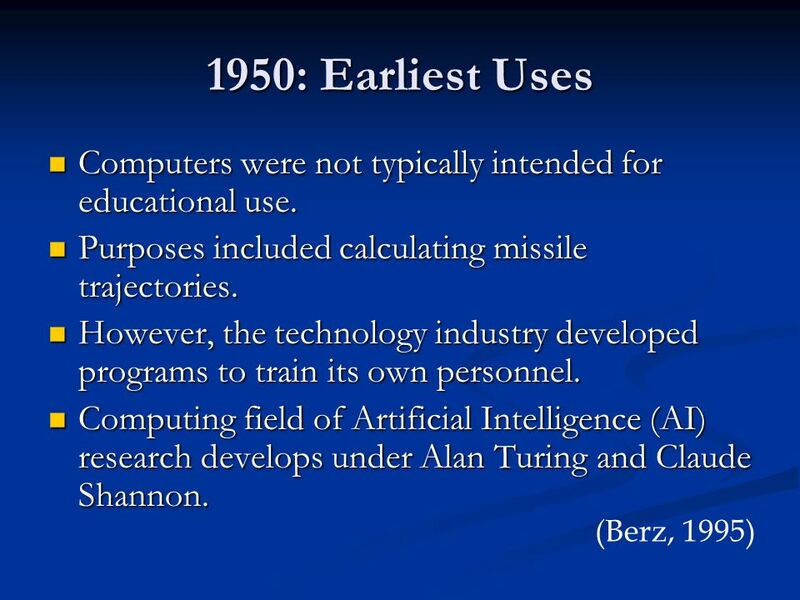 6 Development A quick overview of the use of technology for instructional purposes helps ground our understanding of classroom uses, past, present, and future! 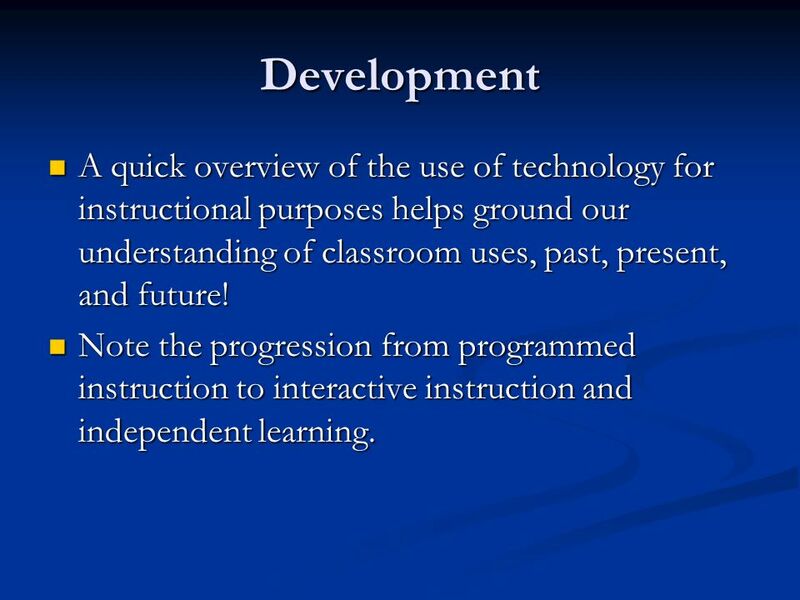 Note the progression from programmed instruction to interactive instruction and independent learning. 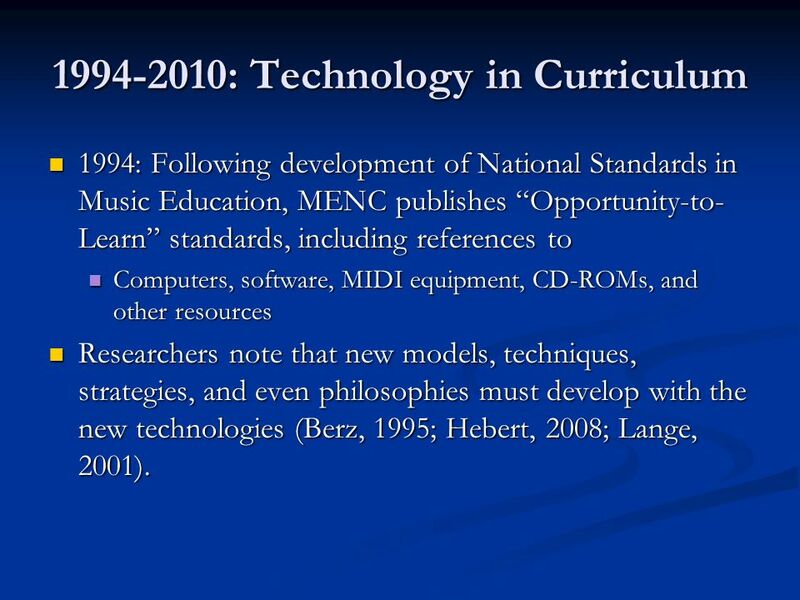 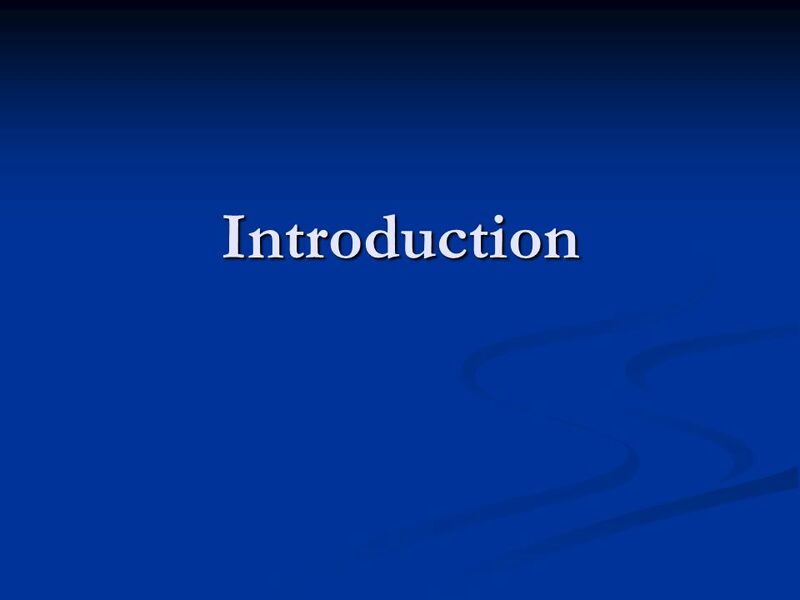 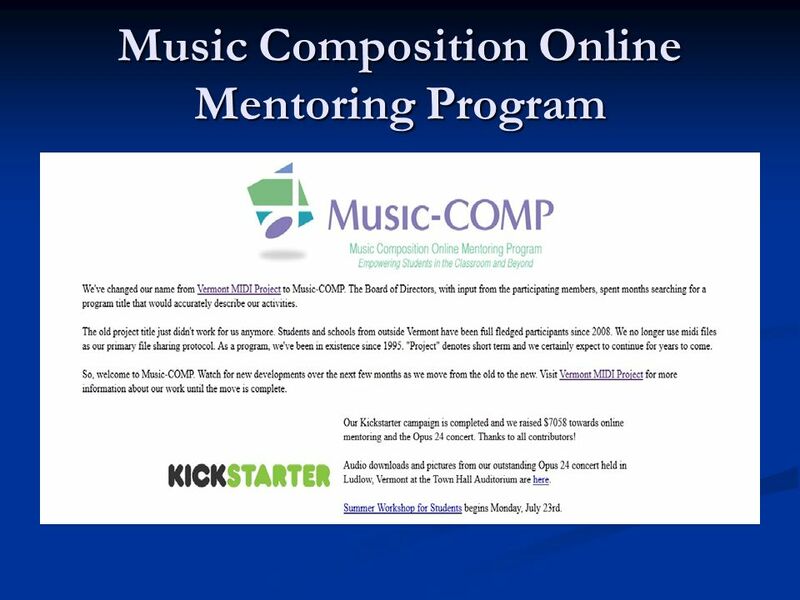 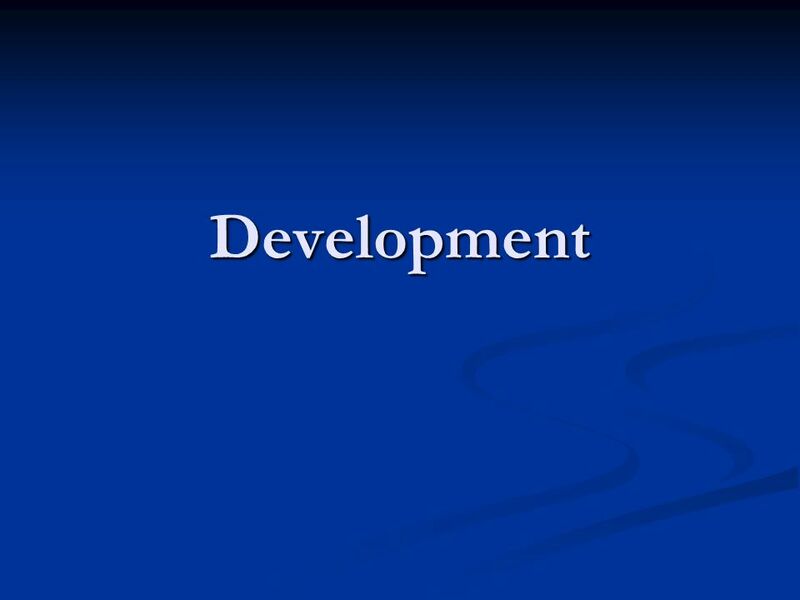 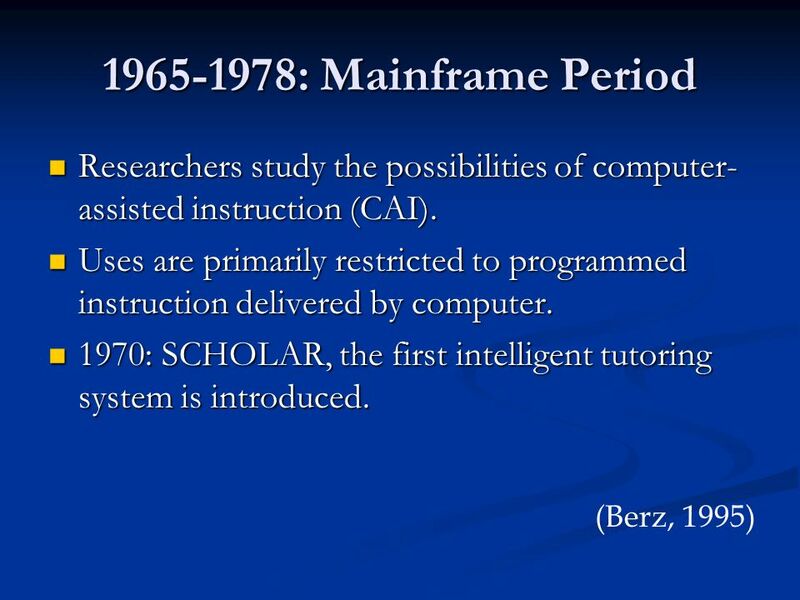 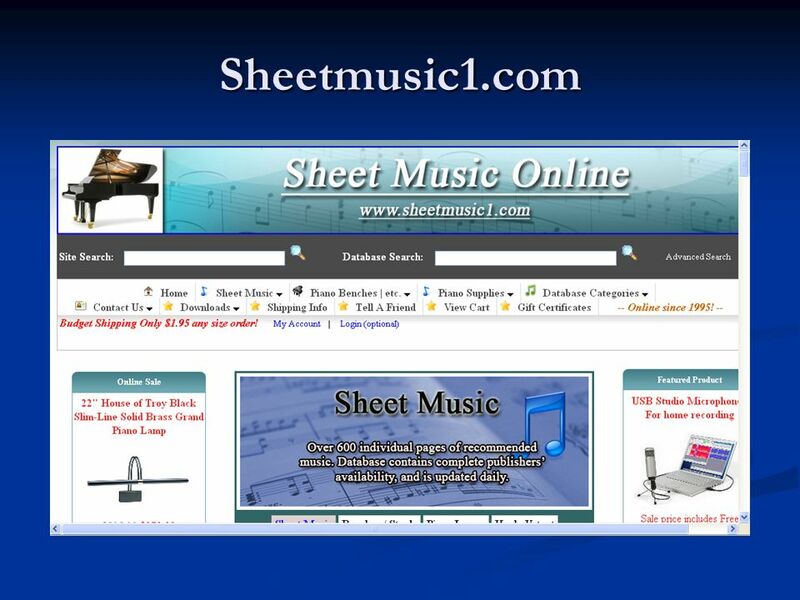 1994: Following development of National Standards in Music Education, MENC publishes “Opportunity-to-Learn” standards, including references to Computers, software, MIDI equipment, CD-ROMs, and other resources Researchers note that new models, techniques, strategies, and even philosophies must develop with the new technologies (Berz, 1995; Hebert, 2008; Lange, 2001). 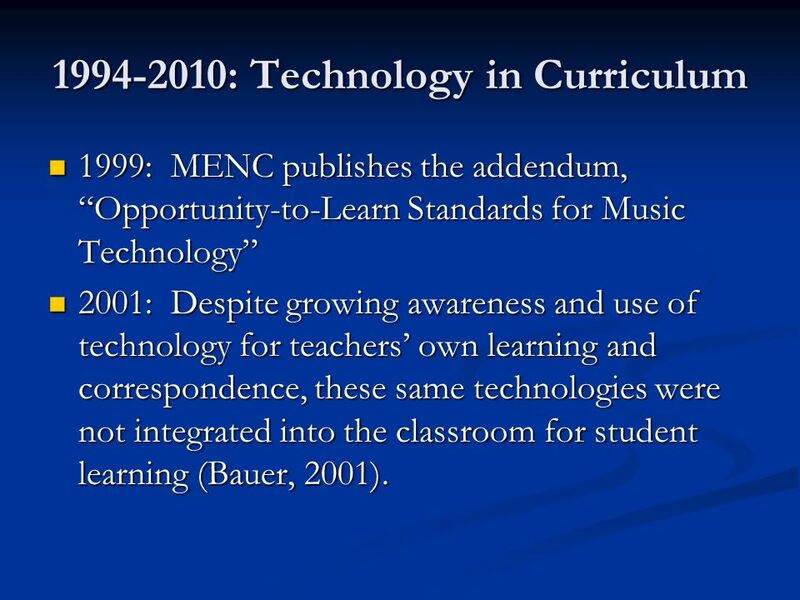 1999: MENC publishes the addendum, “Opportunity-to-Learn Standards for Music Technology” 2001: Despite growing awareness and use of technology for teachers’ own learning and correspondence, these same technologies were not integrated into the classroom for student learning (Bauer, 2001). 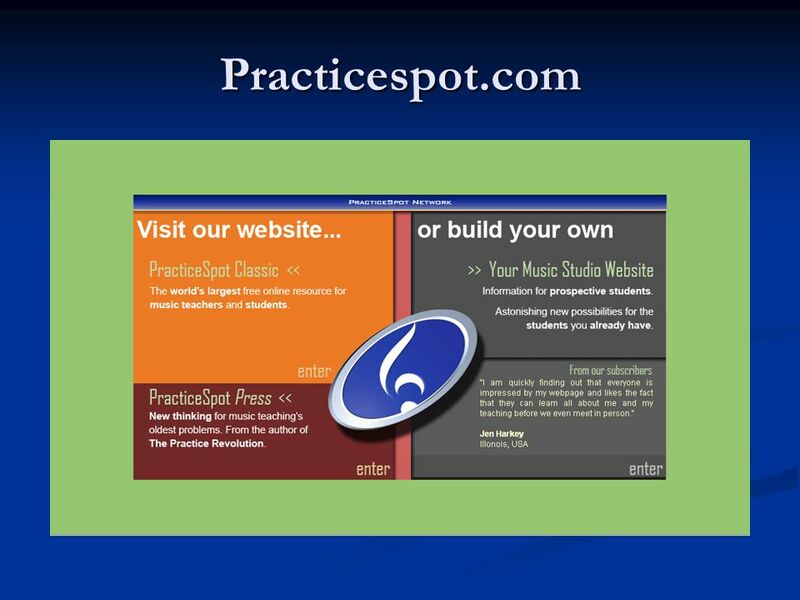 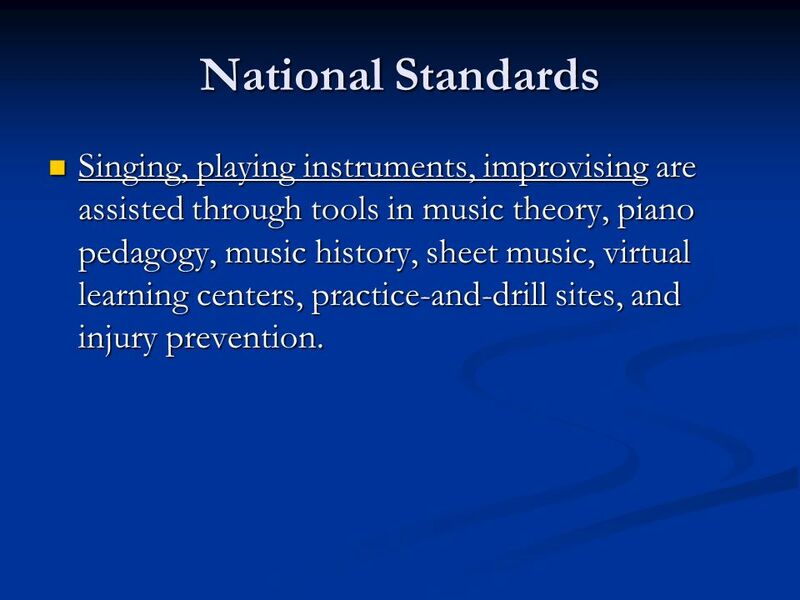 14 National Standards Singing, playing instruments, improvising are assisted through tools in music theory, piano pedagogy, music history, sheet music, virtual learning centers, practice-and-drill sites, and injury prevention. 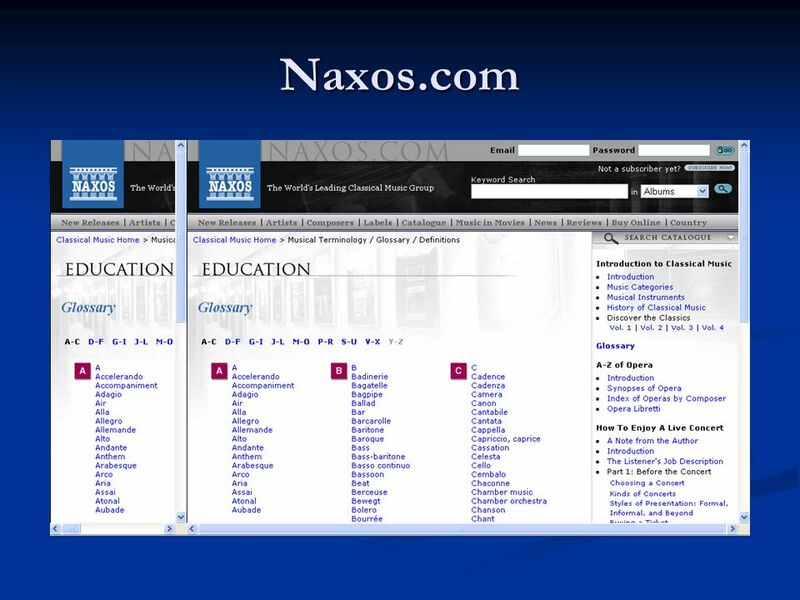 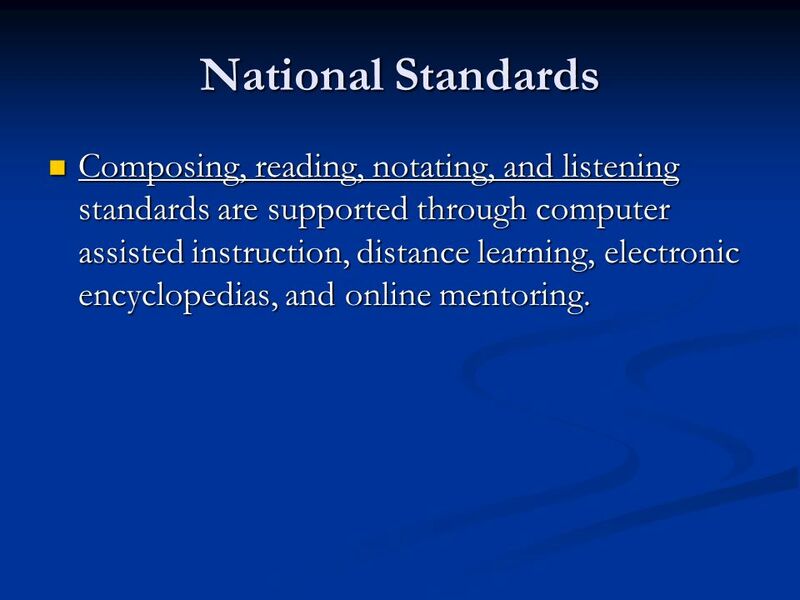 15 National Standards Composing, reading, notating, and listening standards are supported through computer assisted instruction, distance learning, electronic encyclopedias, and online mentoring. 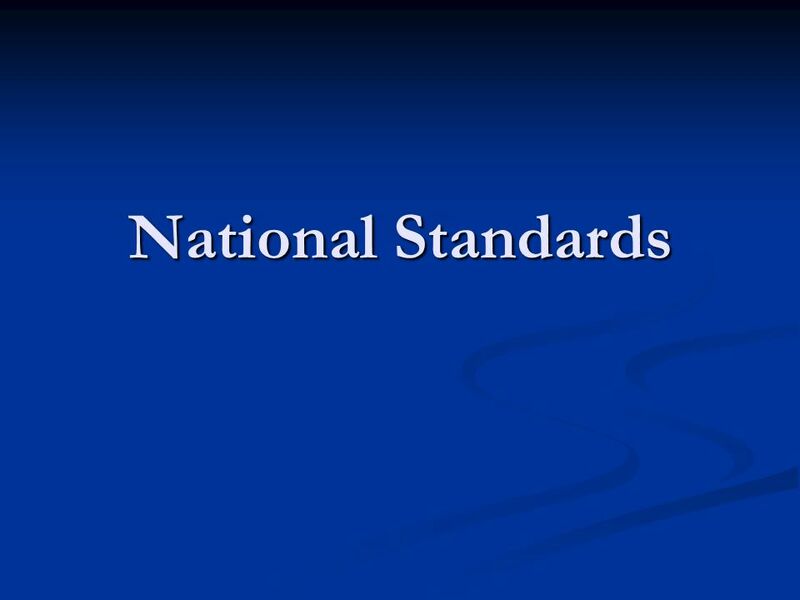 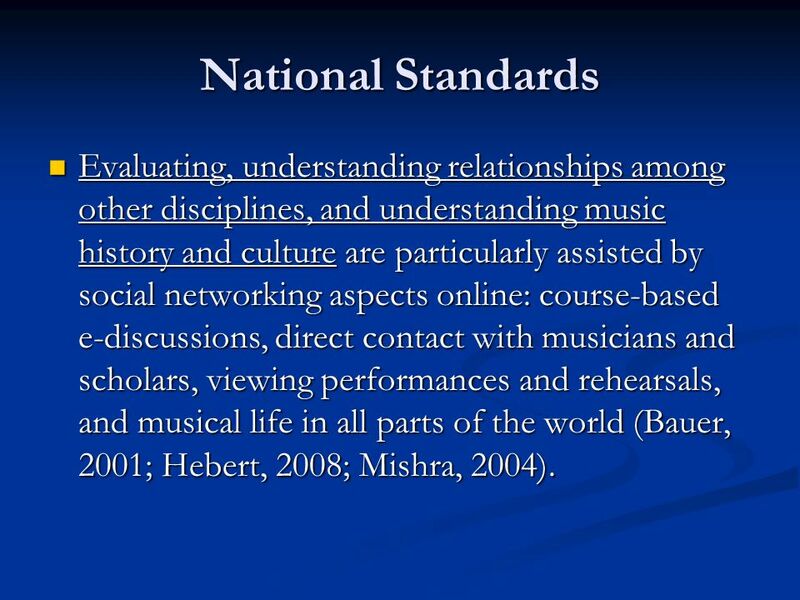 16 National Standards Evaluating, understanding relationships among other disciplines, and understanding music history and culture are particularly assisted by social networking aspects online: course-based e-discussions, direct contact with musicians and scholars, viewing performances and rehearsals, and musical life in all parts of the world (Bauer, 2001; Hebert, 2008; Mishra, 2004). 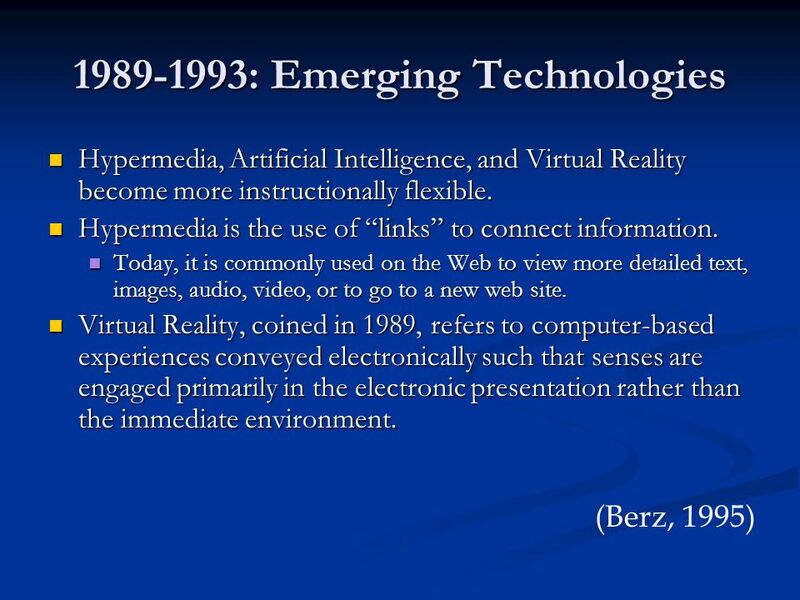 94 Parting Thoughts “The full potential for learning technologies cannot be realized by merely automating traditional models of teaching and learning. 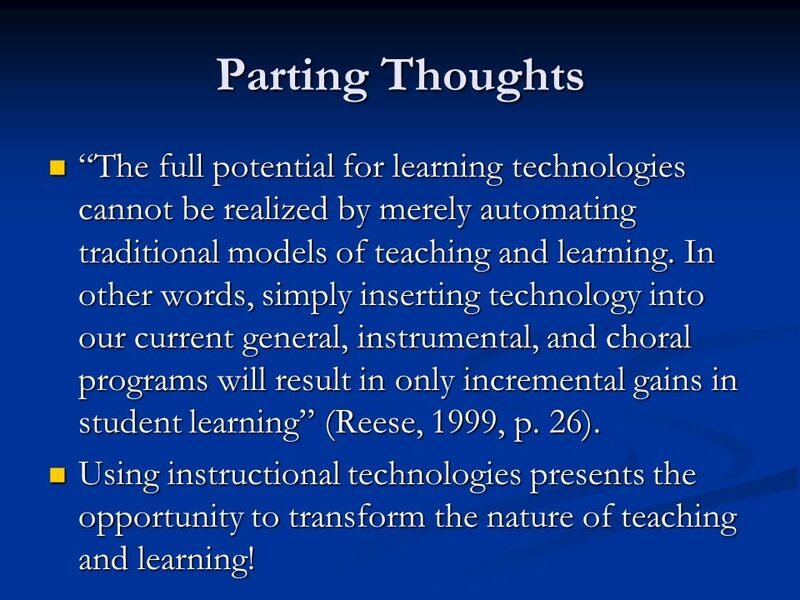 In other words, simply inserting technology into our current general, instrumental, and choral programs will result in only incremental gains in student learning” (Reese, 1999, p. 26). 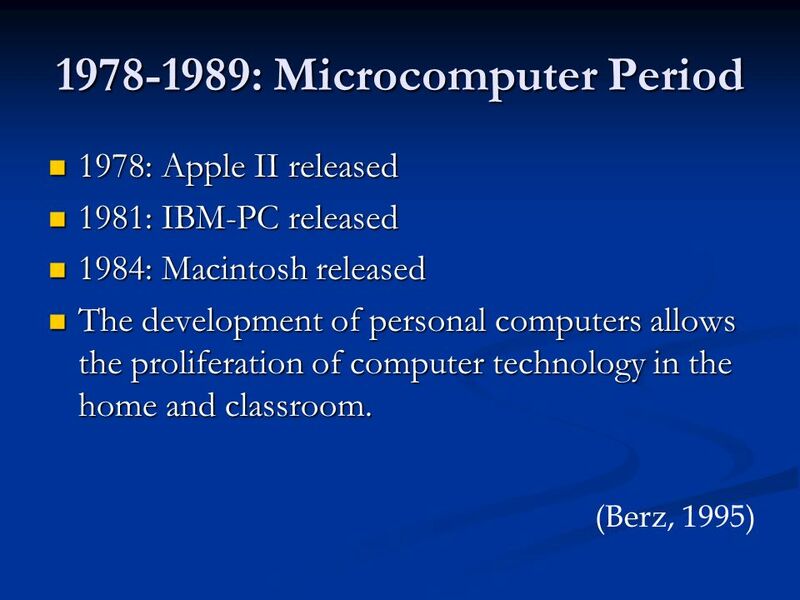 Using instructional technologies presents the opportunity to transform the nature of teaching and learning! 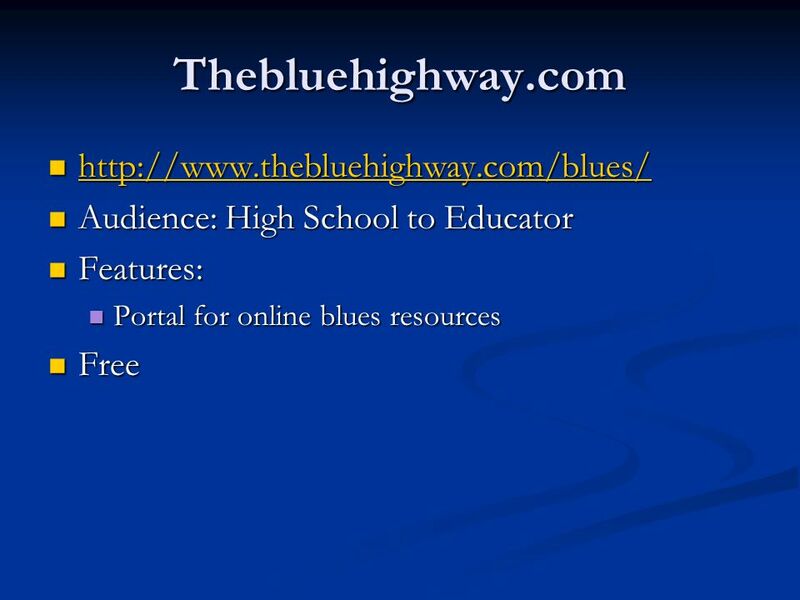 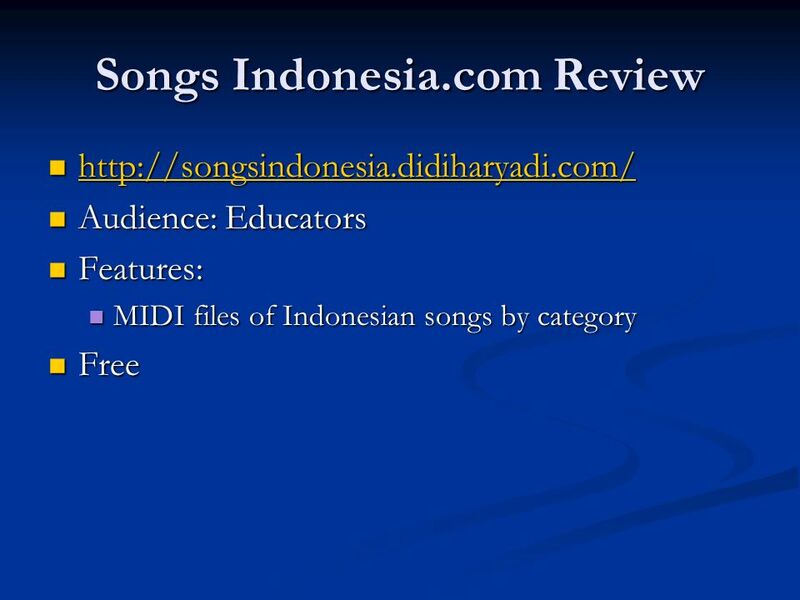 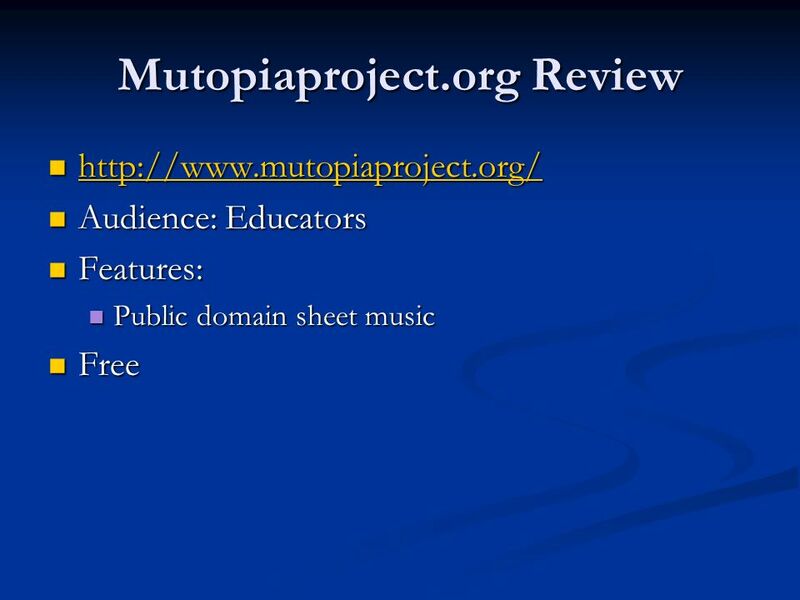 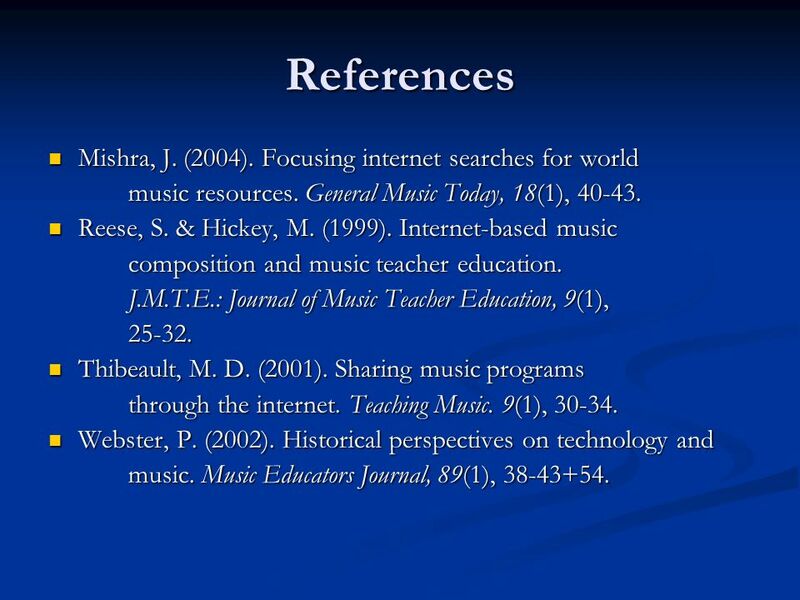 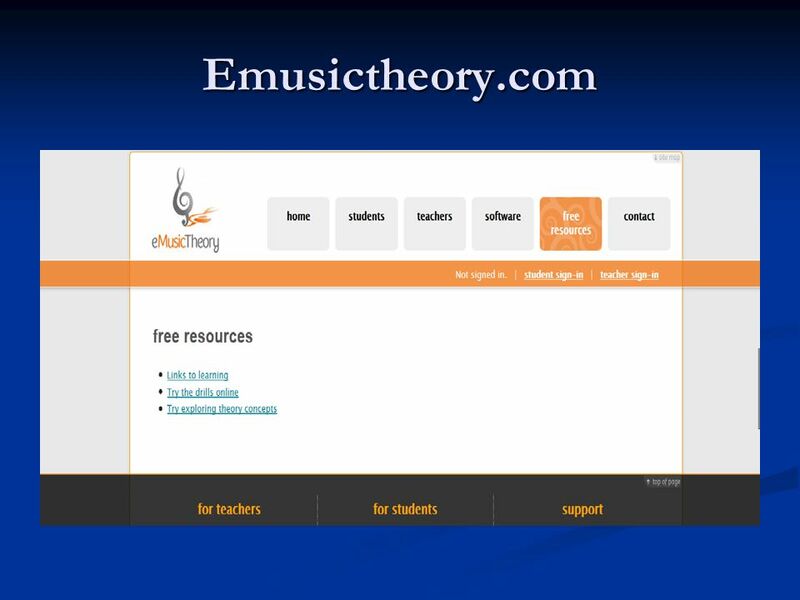 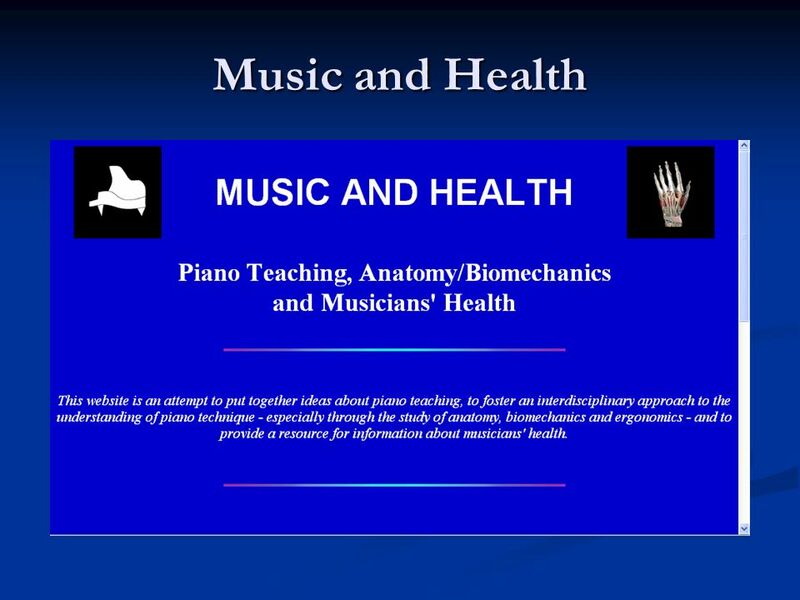 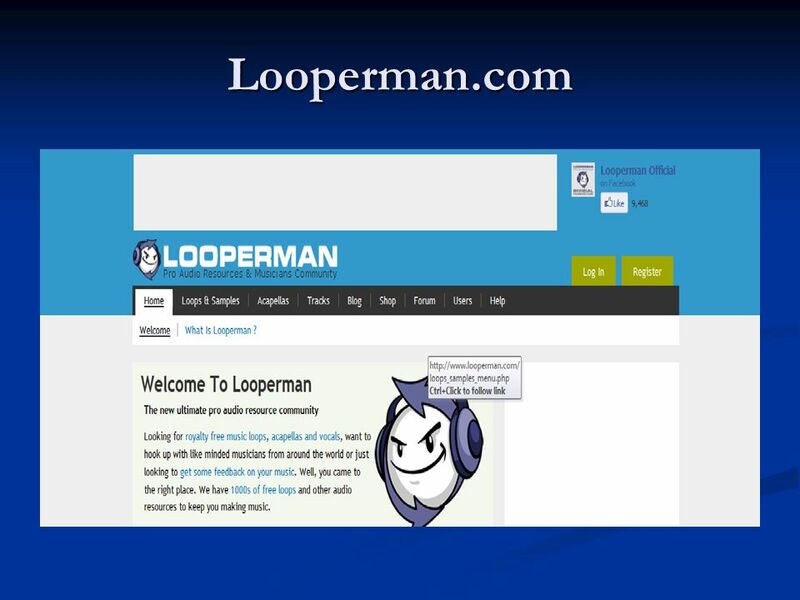 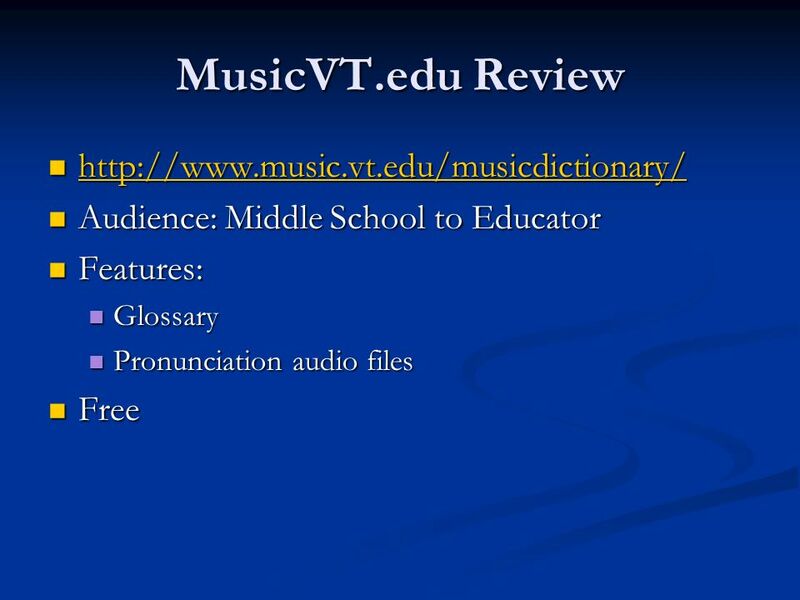 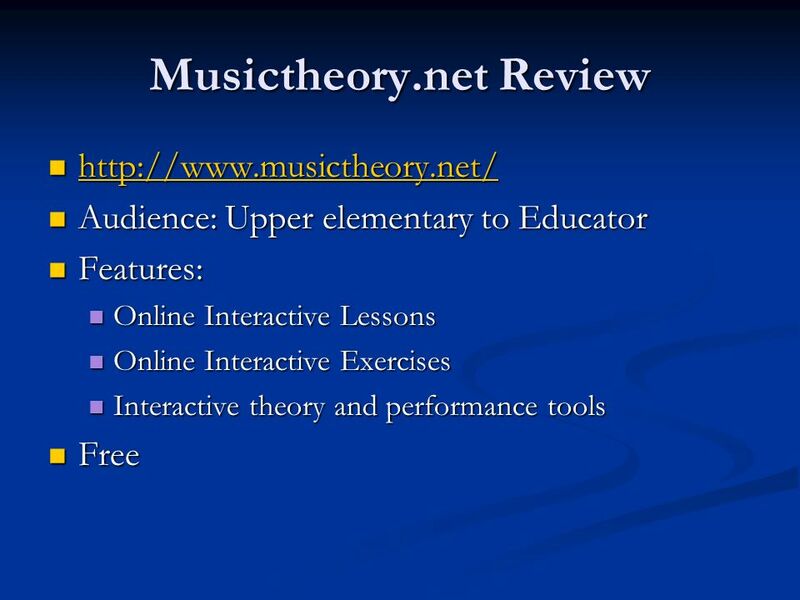 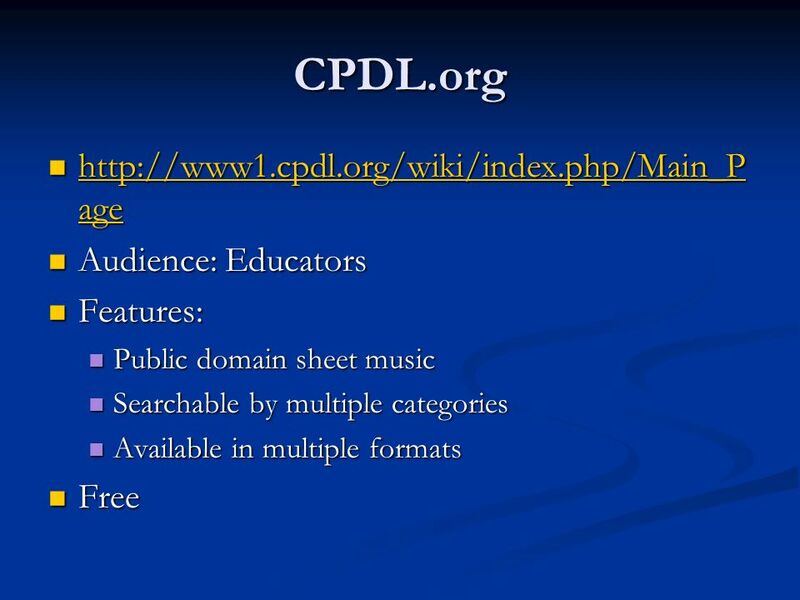 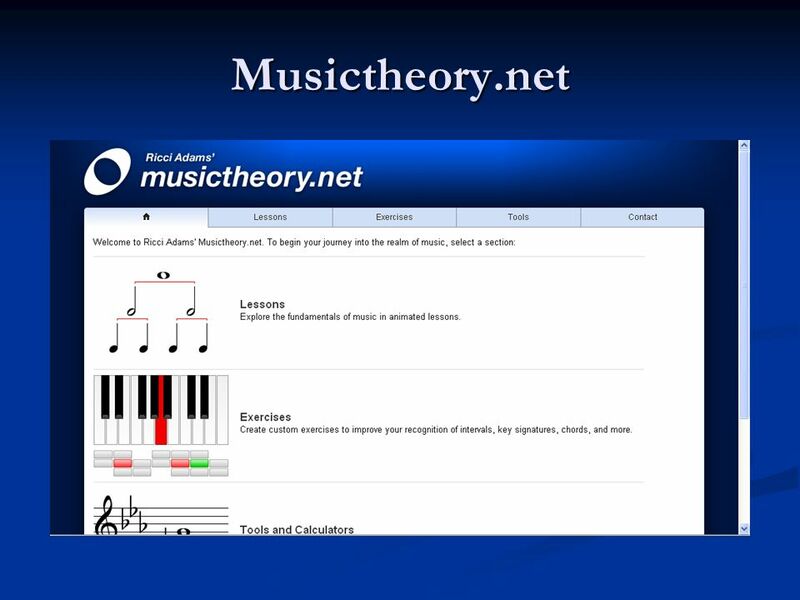 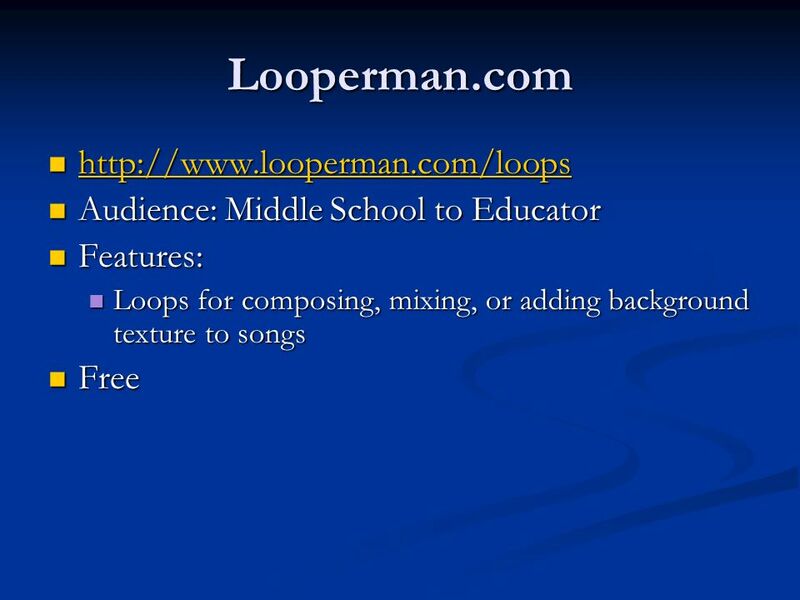 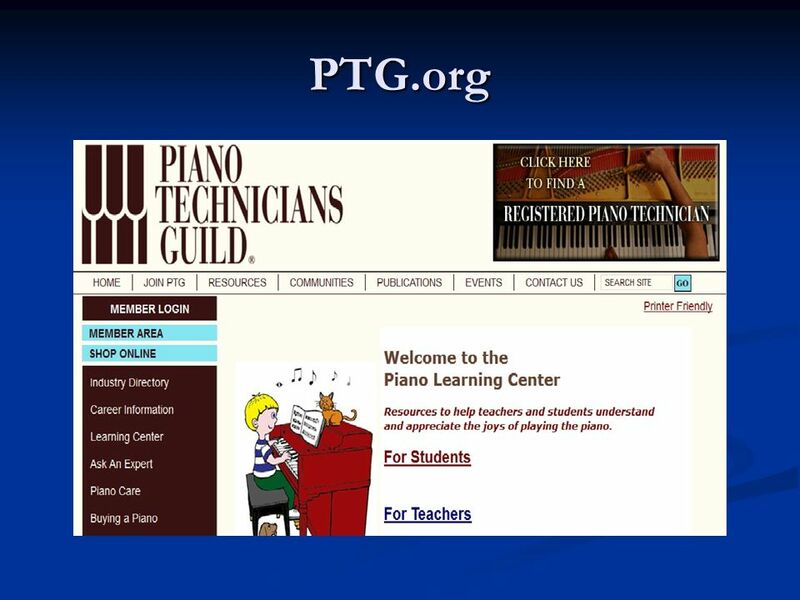 Download ppt "Internet Technology In Music Education." 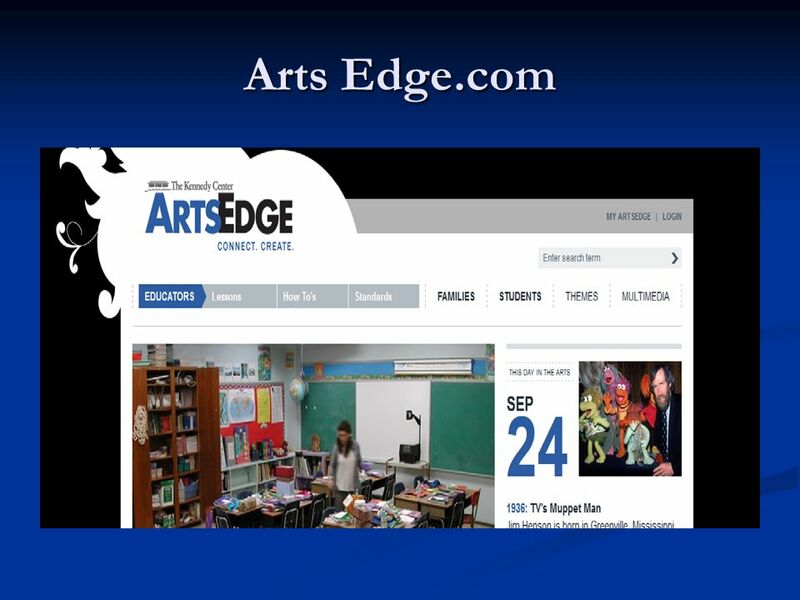 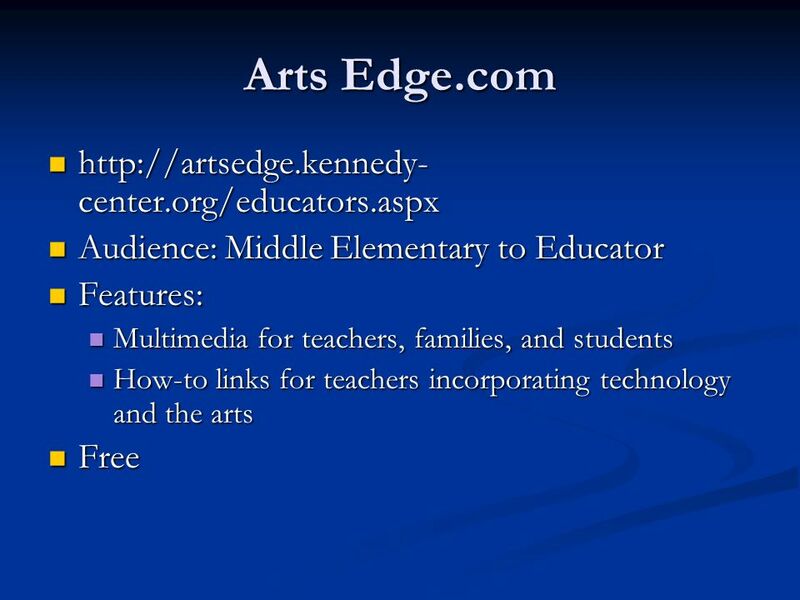 Technology in Art and Music Instruction Session Seven EDT 612. 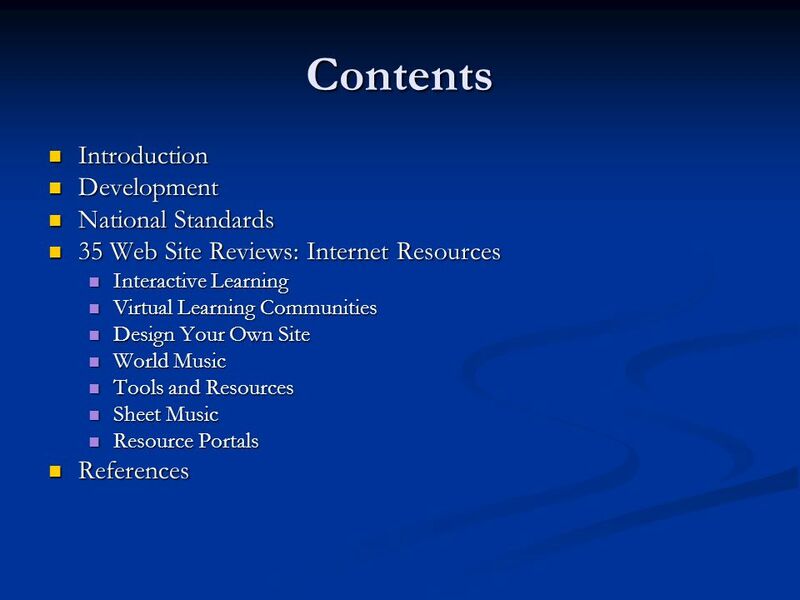 When Our Grandparents Were Children Project Overview Teacher Planning Work Samples & Reflections Teaching Resources Assessment & Standards Classroom Teacher. 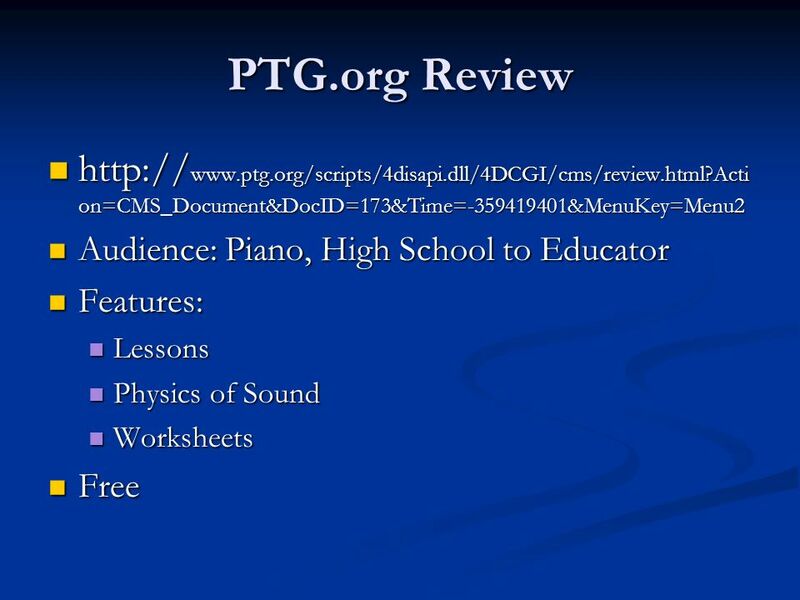 Know Your Presidents Project Overview Teacher Planning Work Samples & Reflections Teaching Resources Assessment & Standards Classroom Teacher Guide Preservice. 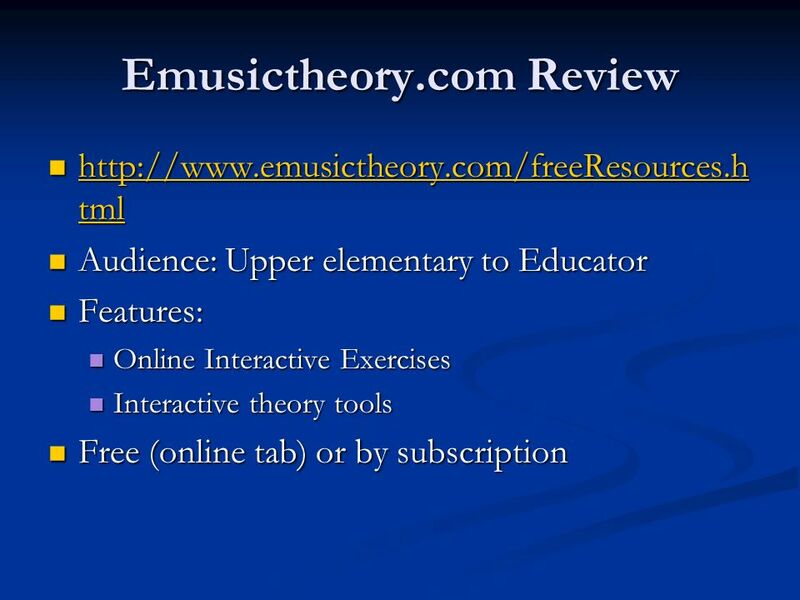 EDGE Institute 2014 Discovery Education Lexi Samorano. 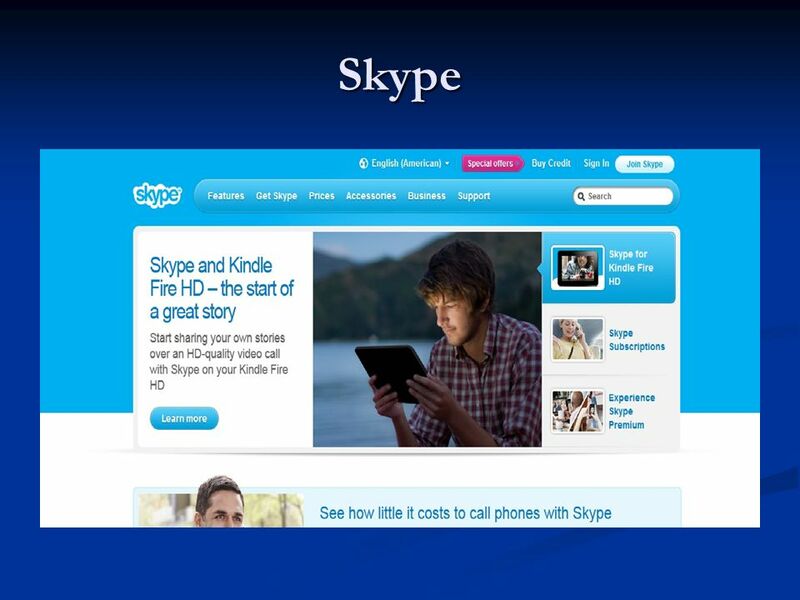 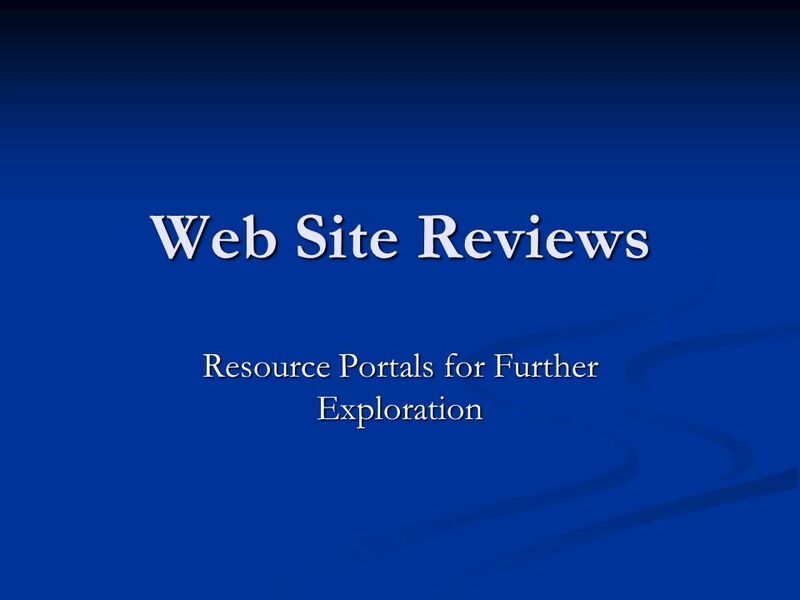 Services Course Windows Live Spaces + Windows Live Writer Participant Guide. 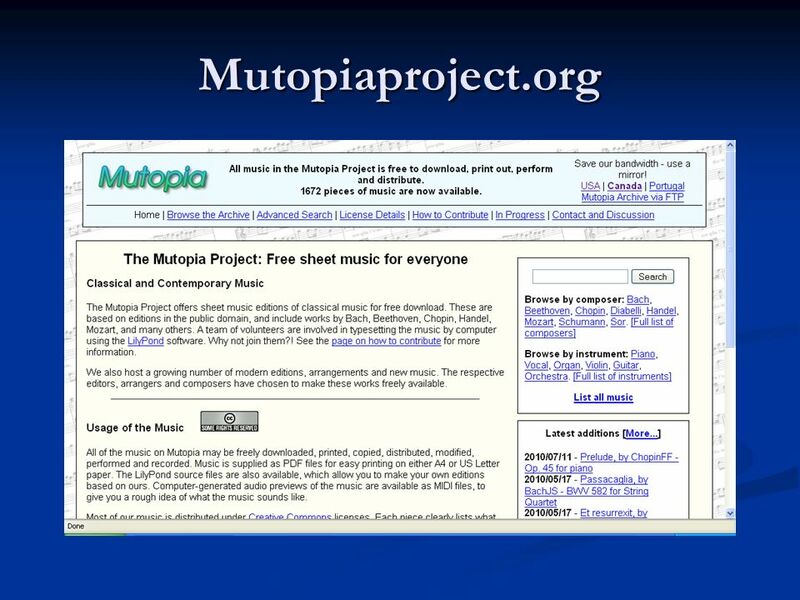 The Virtual Colony Project Project Overview Teacher Planning Work Samples & Reflections Teaching Resources, 1 of 2 Teaching Resources, 2 of 2 Assessment. 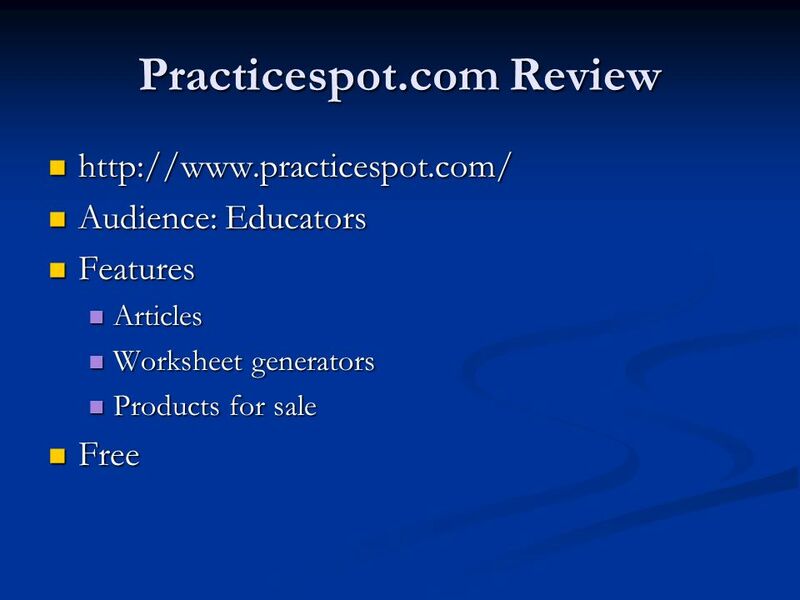 Projects in the Technology Rich Classroom Irving Elementary Teachers Wichita, Kansas. 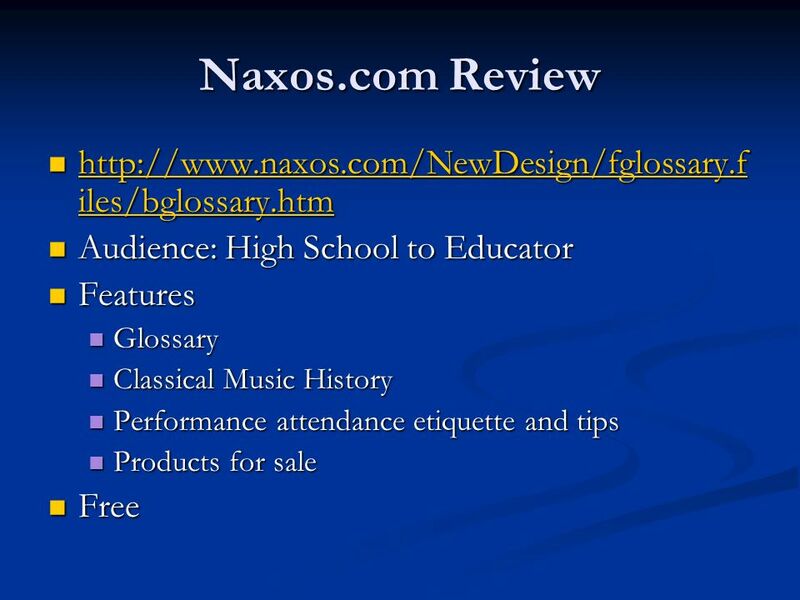 RefWorks: The Basics October 12, 2005. 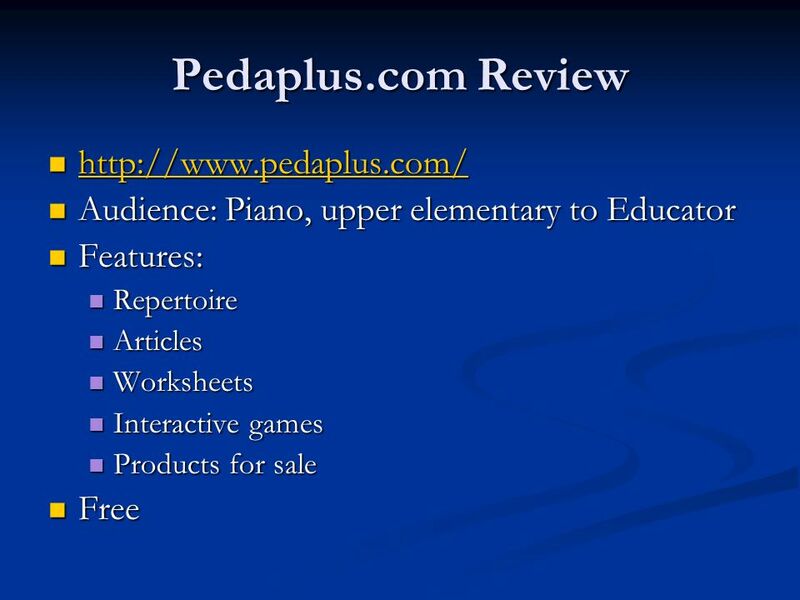 2 What is RefWorks? 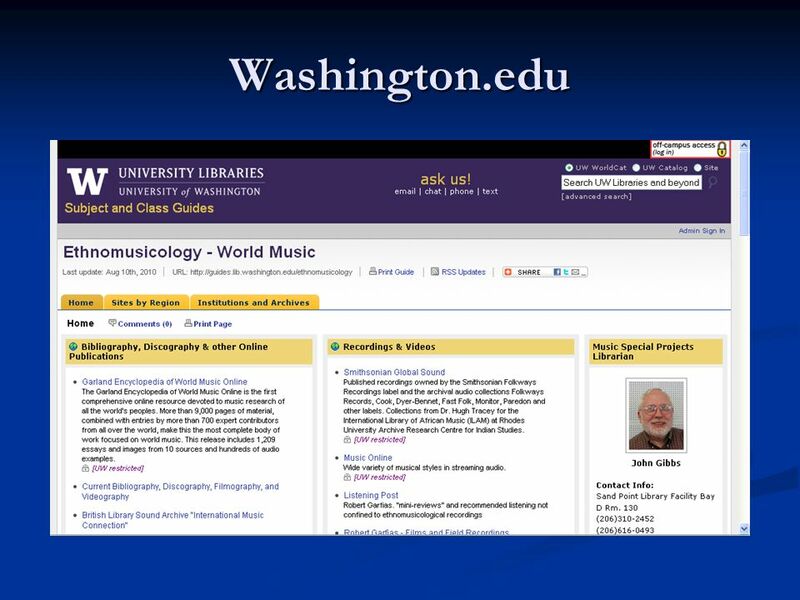 A personal bibliographic software manager –Manages citations –Creates bibliogaphies Accessible.